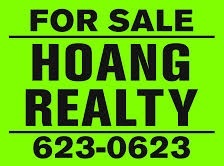 IN NEED OF A RENTAL AGENT? 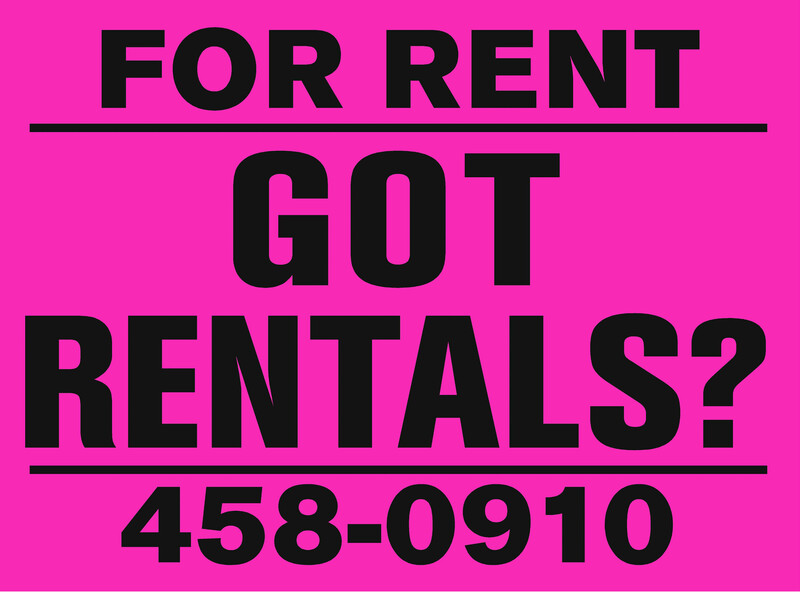 Call Got Rentals? LLC. today for more information. 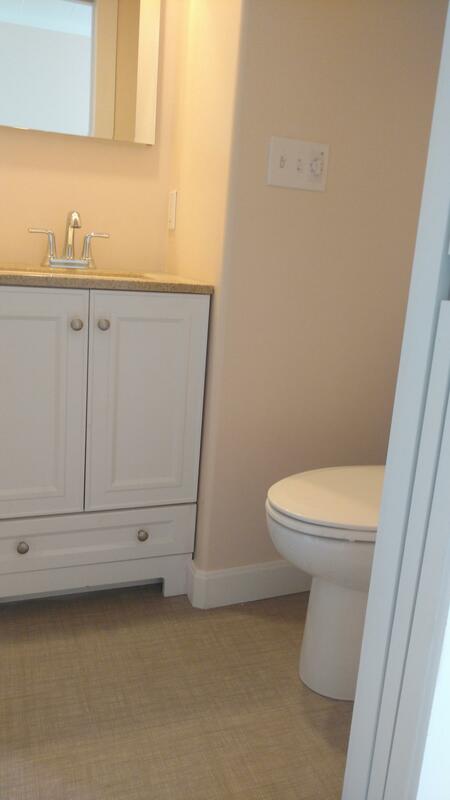 Unit 1 is a first floor unit. Fully furnished. 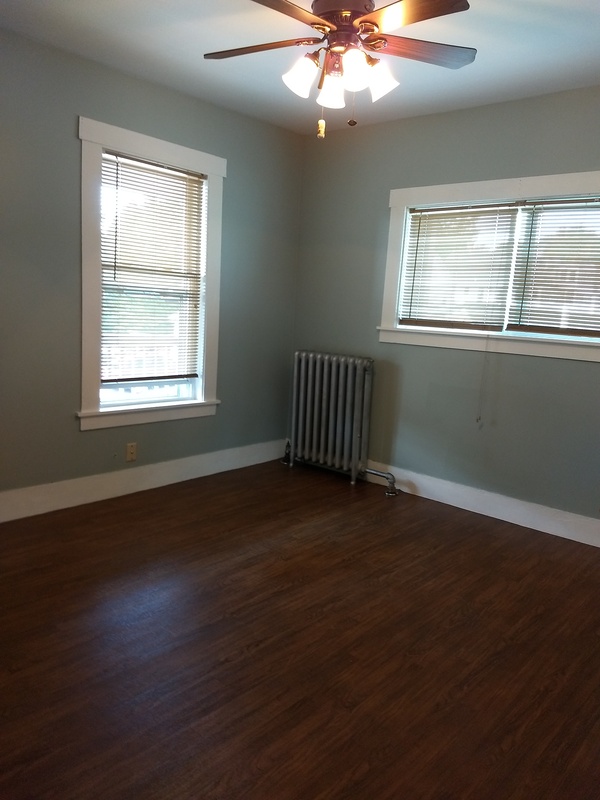 1 bedroom 1 bath apartment short term leases are available. 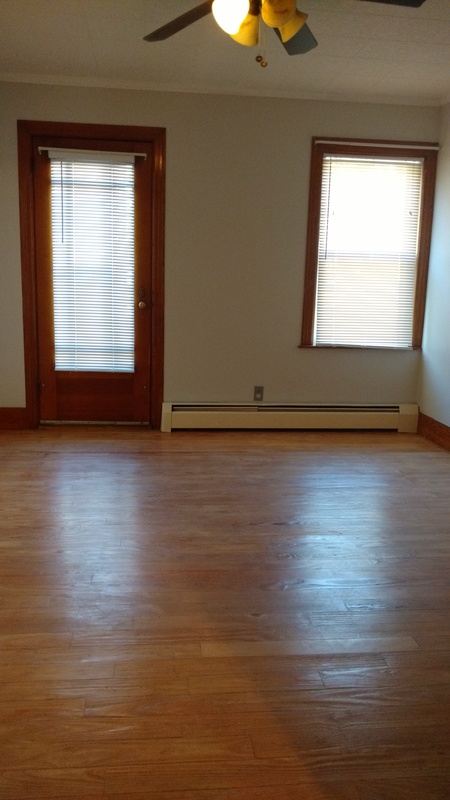 2 bedroom 1 bath second floor apartment.Bonus room great for an office space. 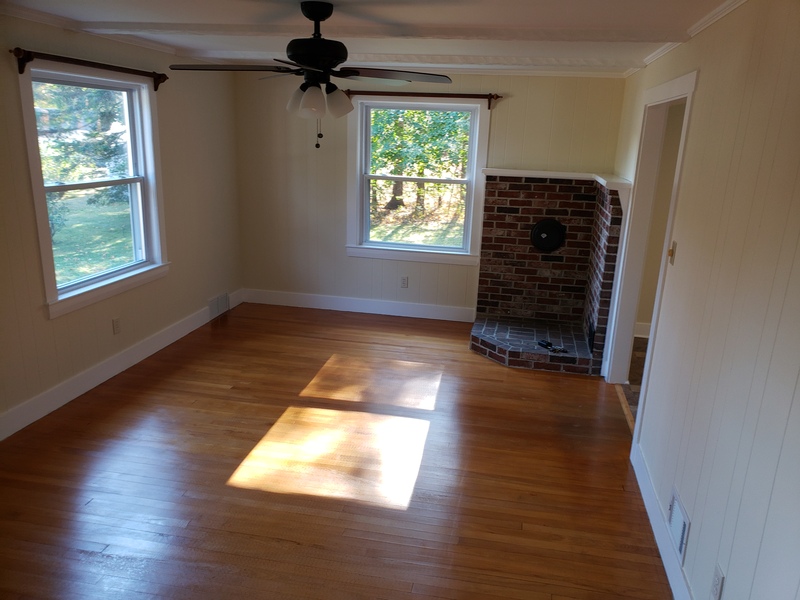 Has unheated sun porch. 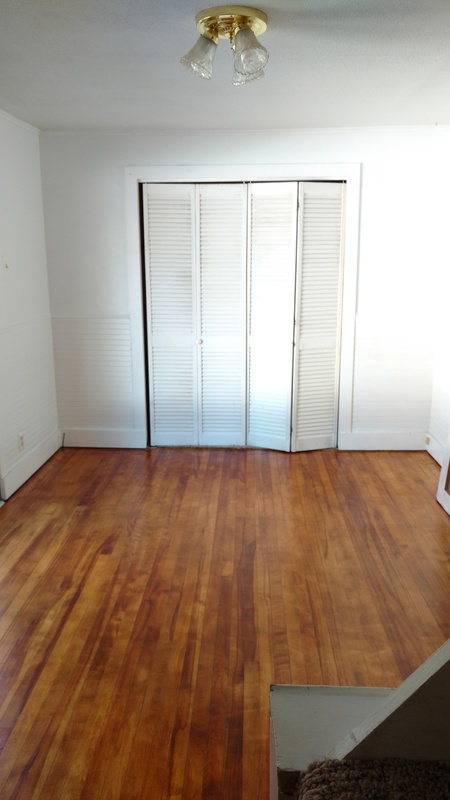 Asking for a first month rent, a double security deposit, good credit and background checks. 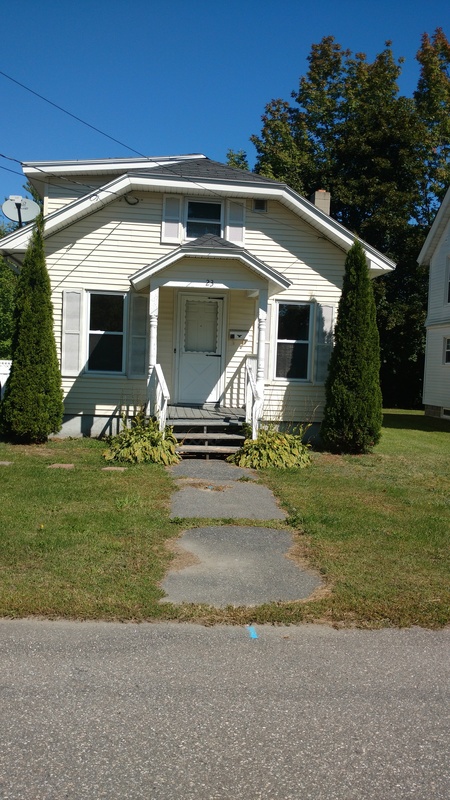 Rent includes heat,water,sewer, plowing and yard work. No pets and no smoking. Available June 8th. 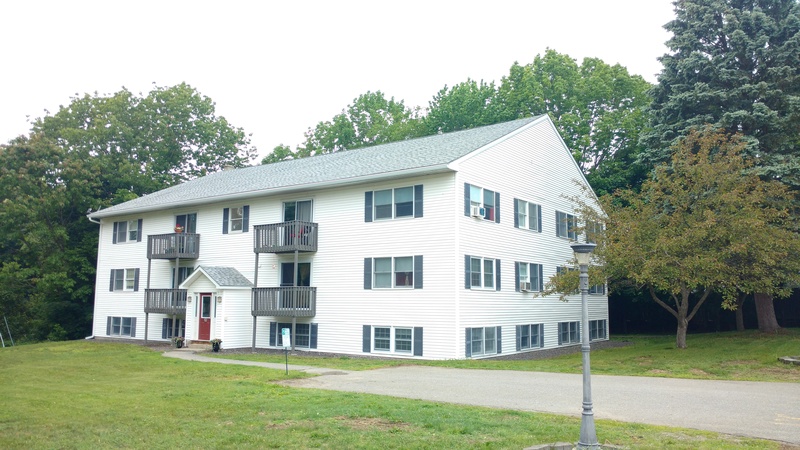 124 Northern Ave. #2, Augusta RENTED!!!! 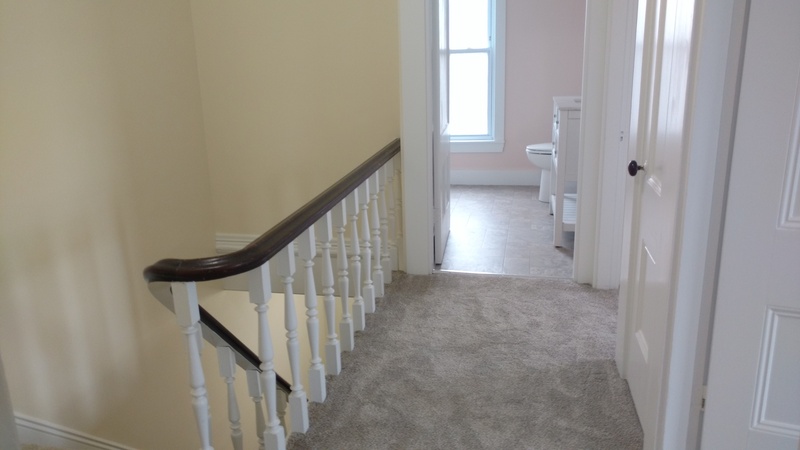 2 bedroom 1 bath second floor renovated apartment. Asking for a first months rent, a security deposit, good credit and back ground checks. No pets and no smoking. Available May 1st. 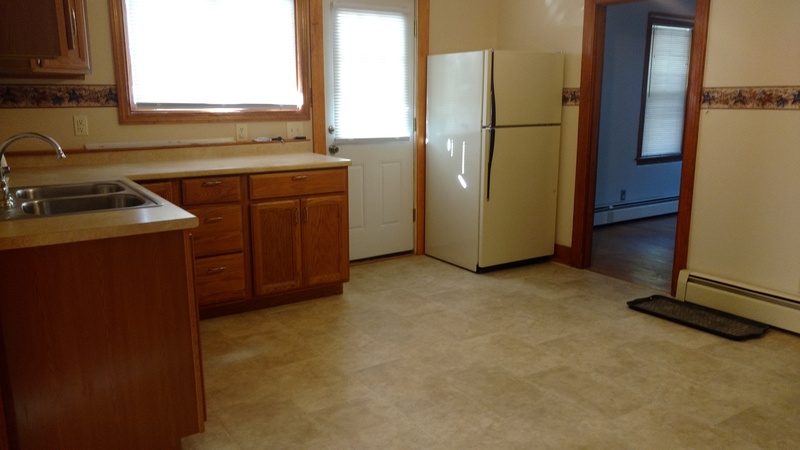 Rent includes heat,water, sewer, plowing and yard work. 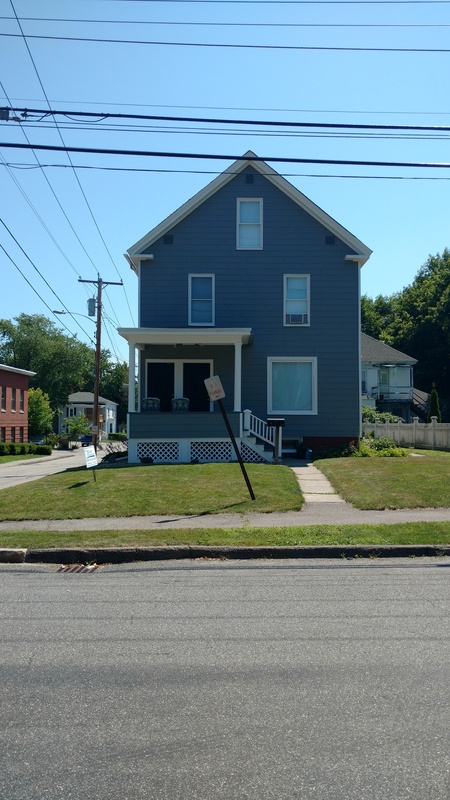 131 Northern Ave. #2, Augusta RENTED! 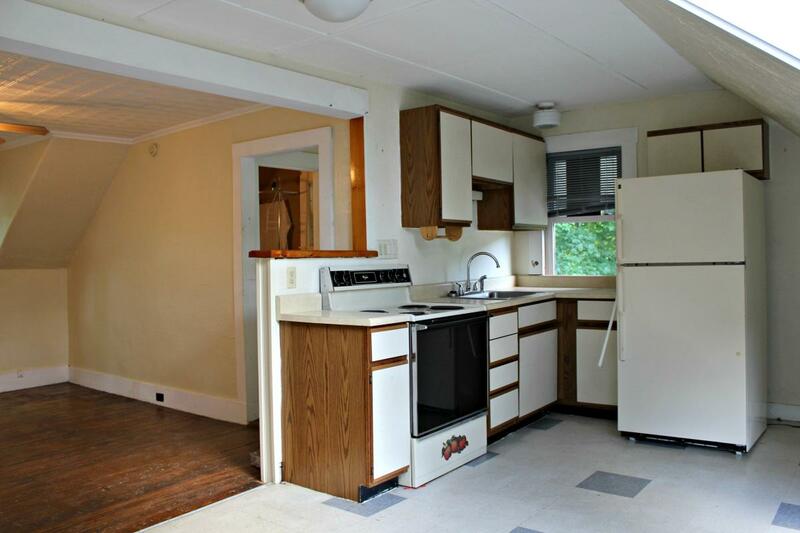 2 bedroom 1 bath second floor apartment. Asking for no pets, no smoking, a first months rent, a security deposit, good credit and background checks. 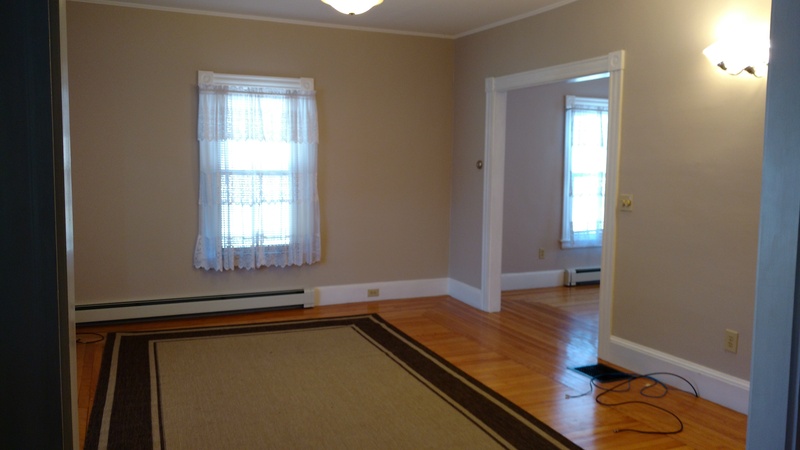 Rent includes heat,water,sewer, plowing and yard work. Available May 1st. 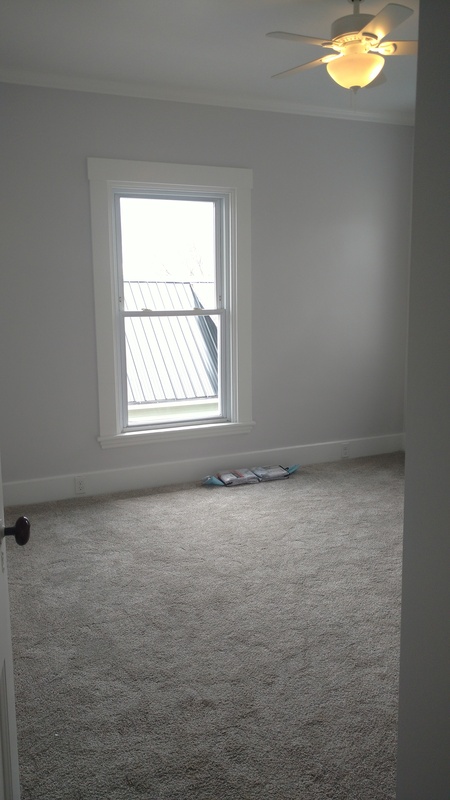 $650/month includes heat,water,sewer, plowing and yard work. 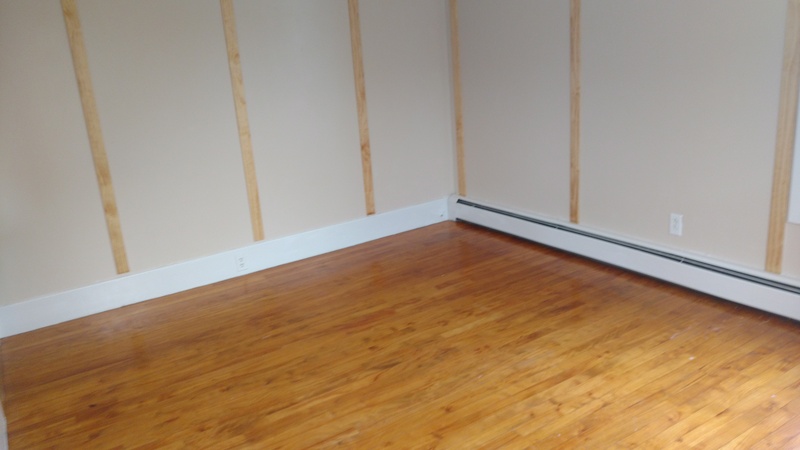 This is a 1 bedroom 1 bath first floor apartment. Asking for no pets, no smoking, a first months rent, a security deposit , background checks and good credit. 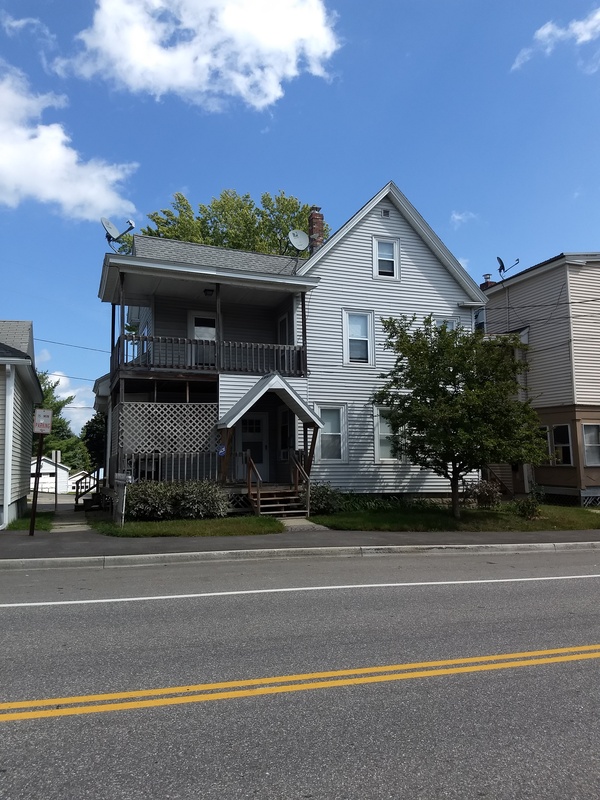 19 Lincoln Street, #1, Augusta RENTED! 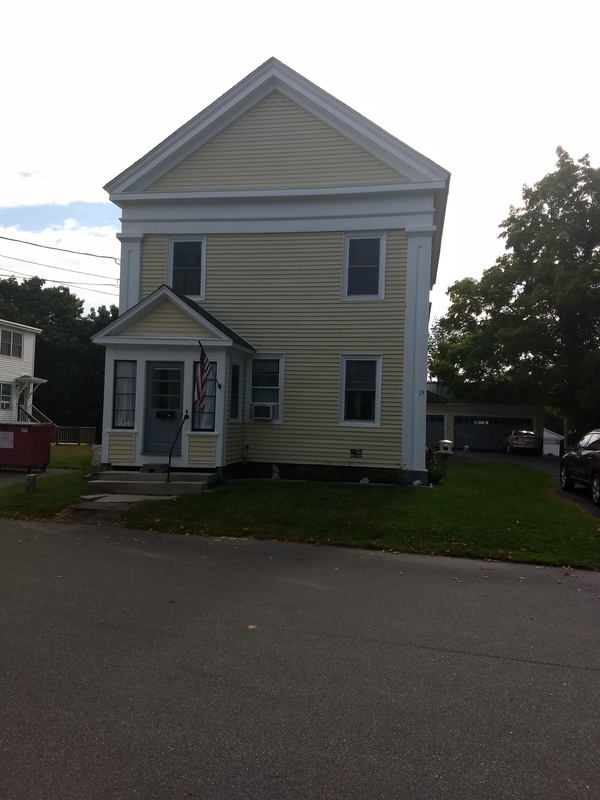 $1300/month includes heat,water,sewer, plowing and yard work.3 bedroom 1.5 bath duplex with a parking spot in the 2 car shared garage. plenty of storage. 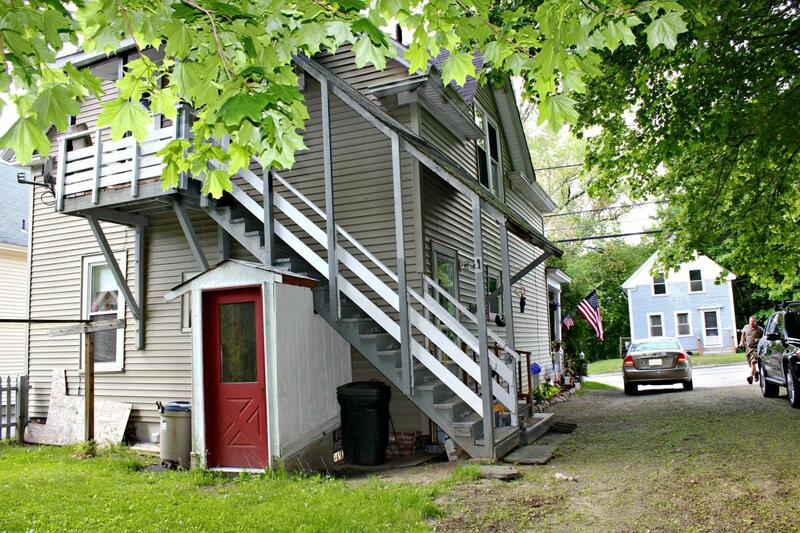 small back yard,small deck in the back and a farmers porch on the front. 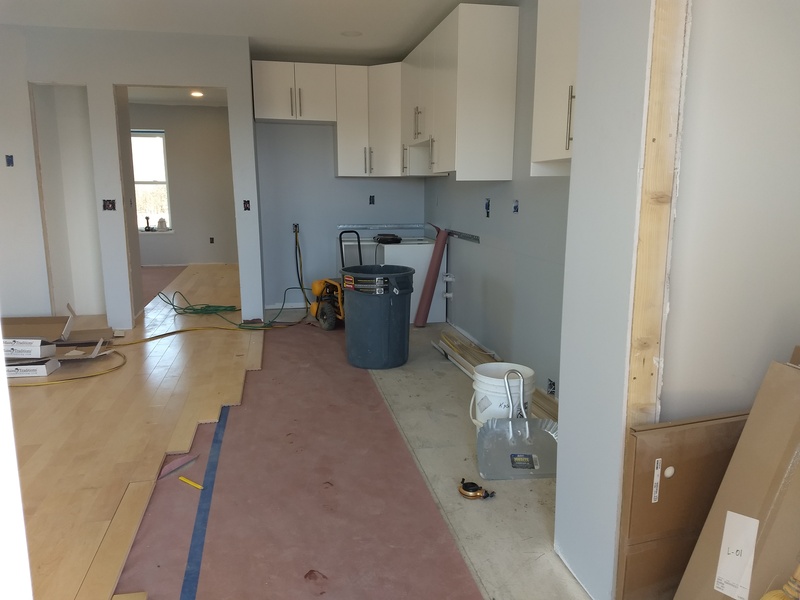 updated kitchen. 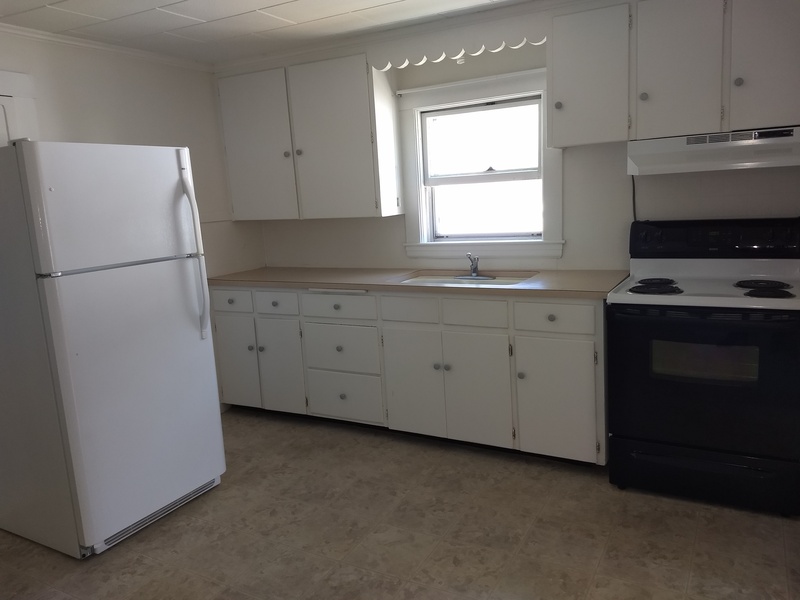 Asking for no pets,no smoking, a first months rent, double security deposit and good credit. 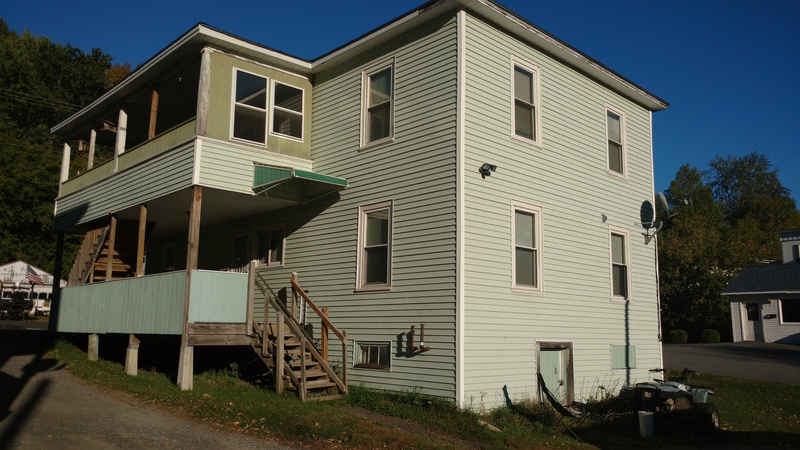 24 North Street, #2, Augusta RENTED!!! 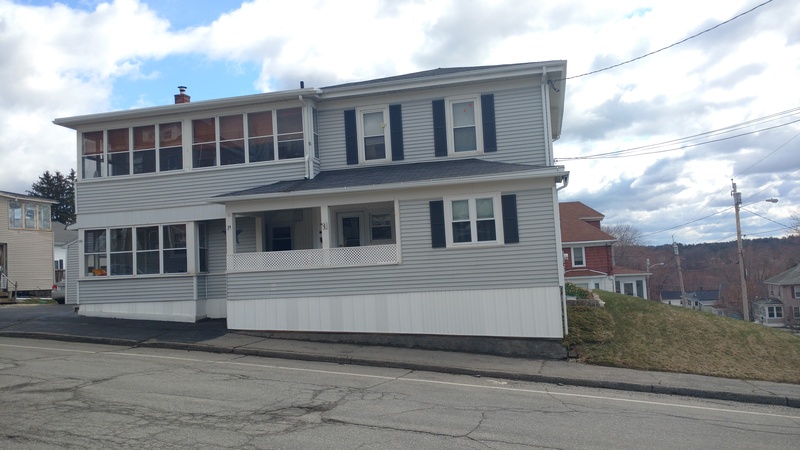 24 North Street, #1, Augusta RENTED! 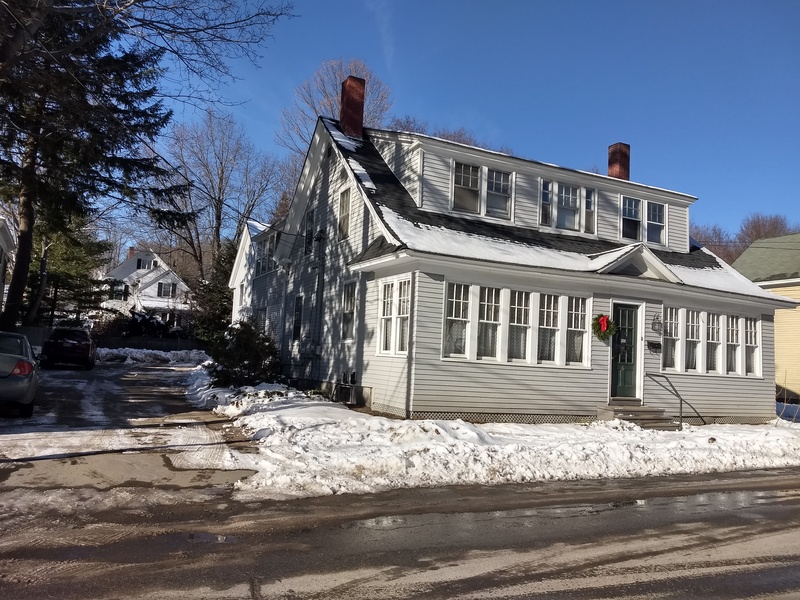 6 Winter Street, Augusta RENTED!! 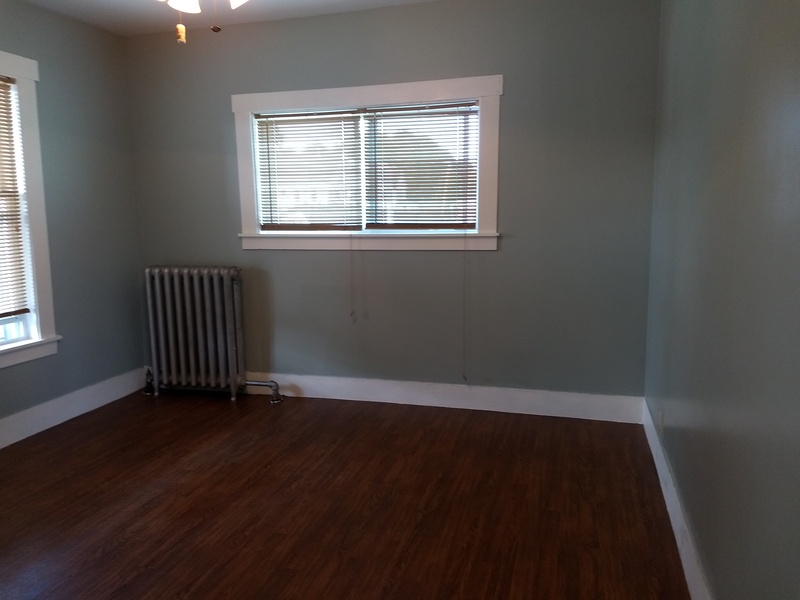 $850/month 3 bedroom 1 bath first floor apartment. Asking for no pets, no smoking, a first months rent, a security deposit and good credit. 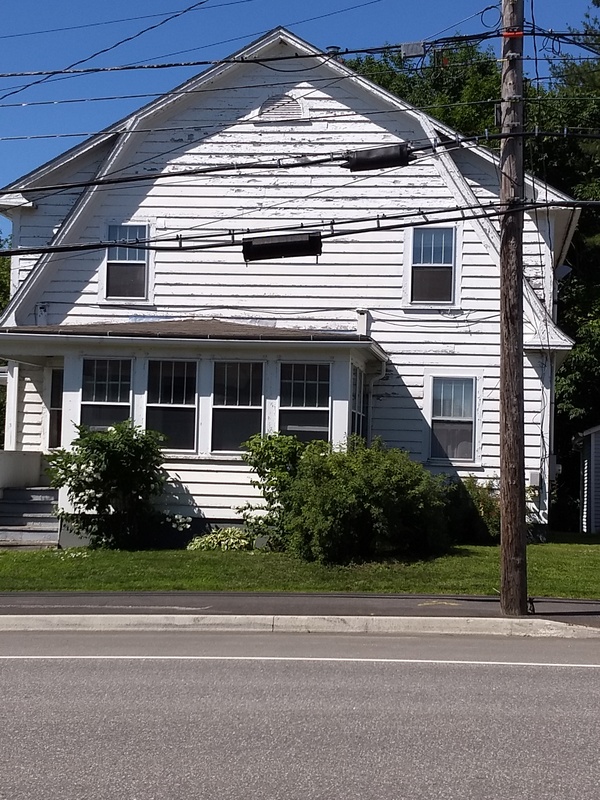 Rent includes water,sewer, plowing and yard work. 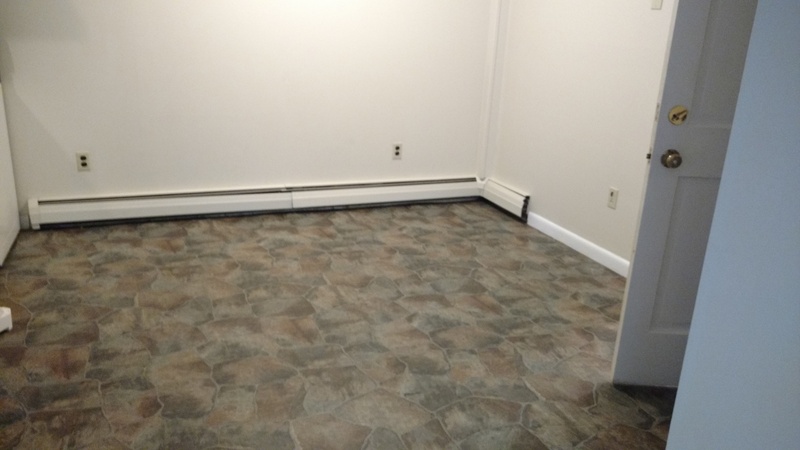 tenant does have the option of heat being included with a rent increase of $990/month. 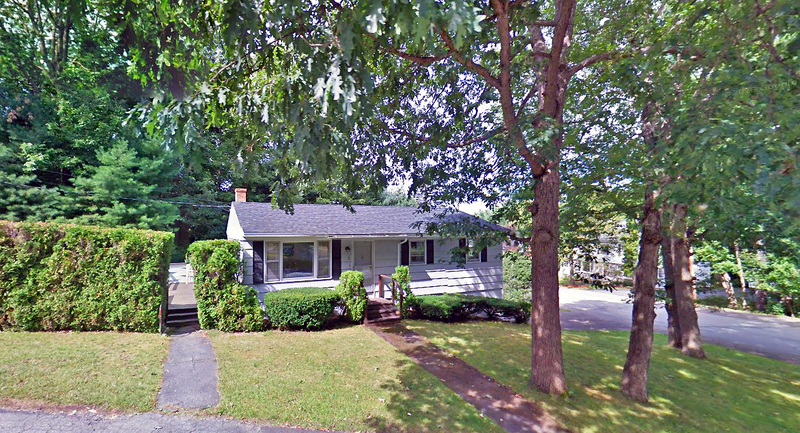 9 Edmond Street, Farmingdale RENTED!! 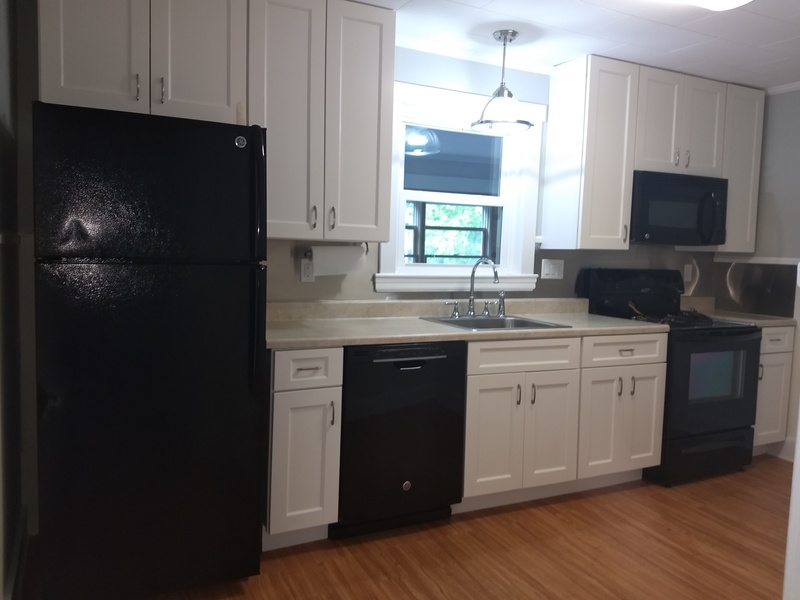 $950/month includes water, sewer Asking for no pets, no smoking, a first months rent, doubles security deposit and good credit. 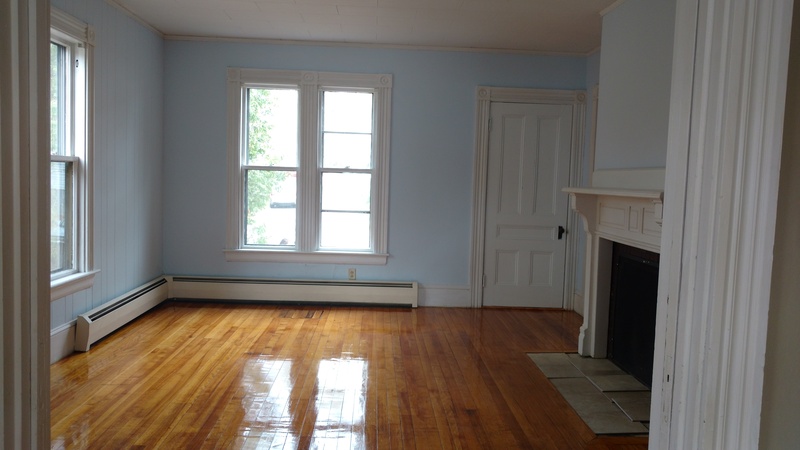 68 Mount Vernon Ave. #1, Augusta RENTED! 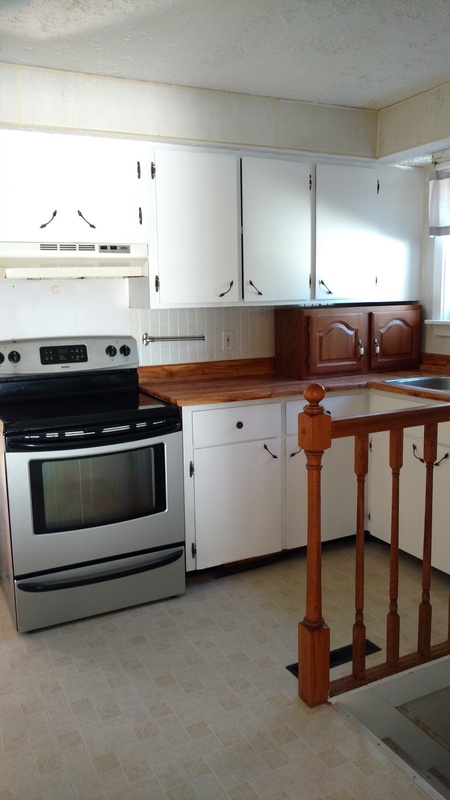 $800/month includes heat,water,sewer, plowing and yard work. Asking for no pets no smoking, a first months rent, double security deposit, background check and good credit. 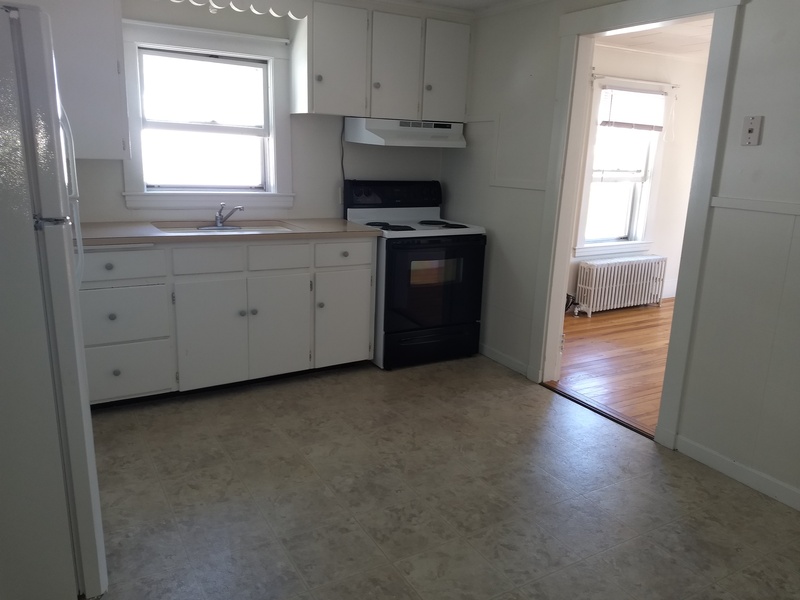 3 bedroom 1 bath first floor apartment. 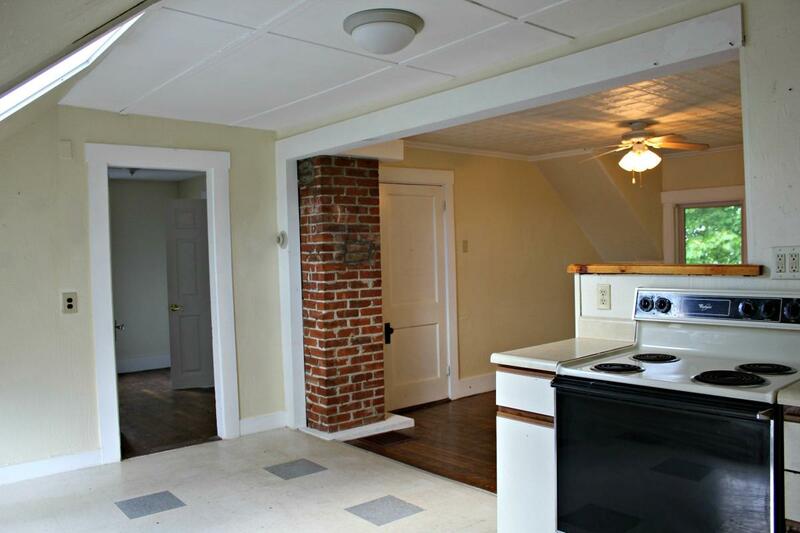 2 Bedroom 1 bath second floor apartment. Fresh paint through out. washer/dryer hook up in the unit. No pets and no smoking. 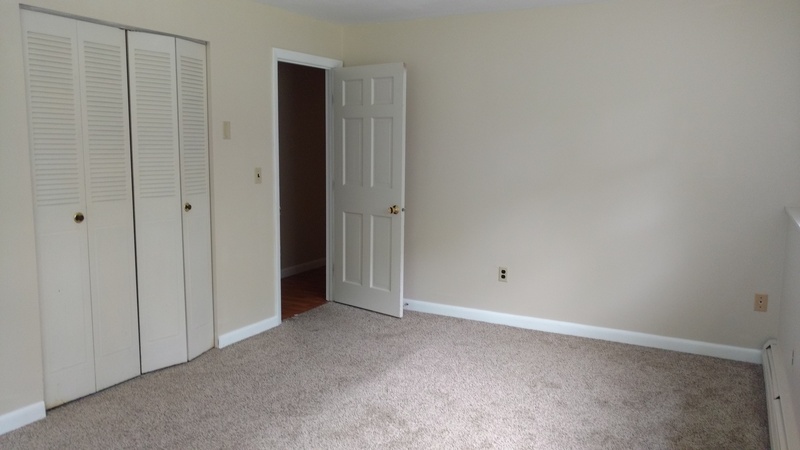 A first months rent, double security deposit and good credit. required. 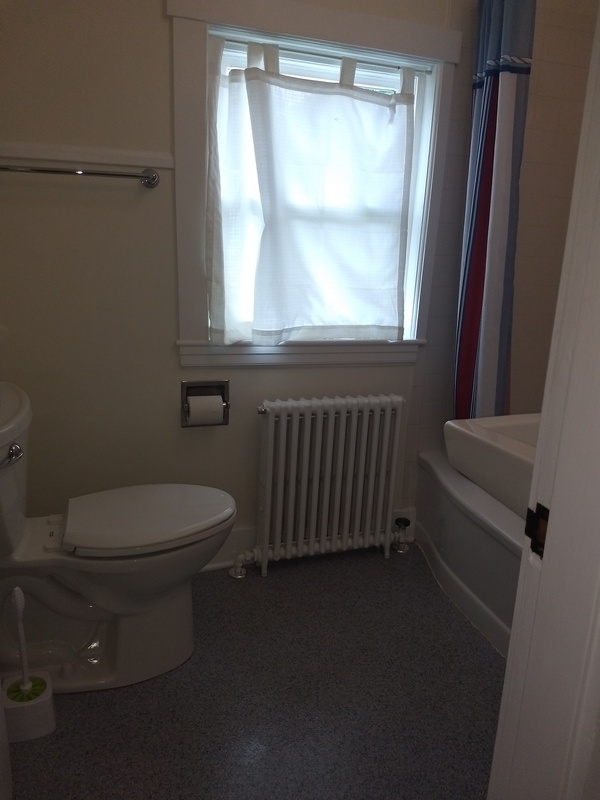 Rent includes heat, hot water, water,sewer, plowing and yard work RENTED!! 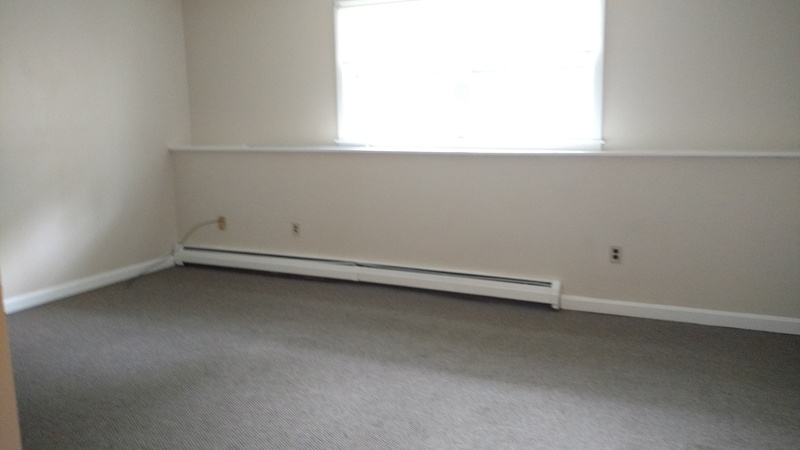 $900/month includes heat, hot water, water, sewer, plowing and yard work. No pets and no smoking allowed. 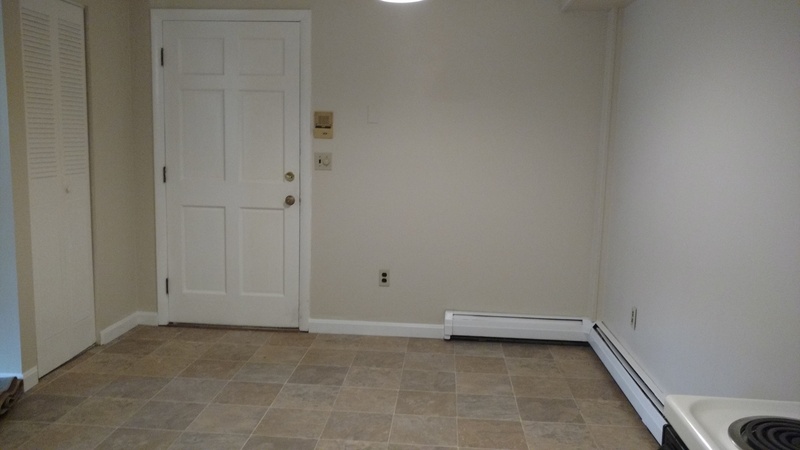 A first months rent, double security deposit and good credit required. 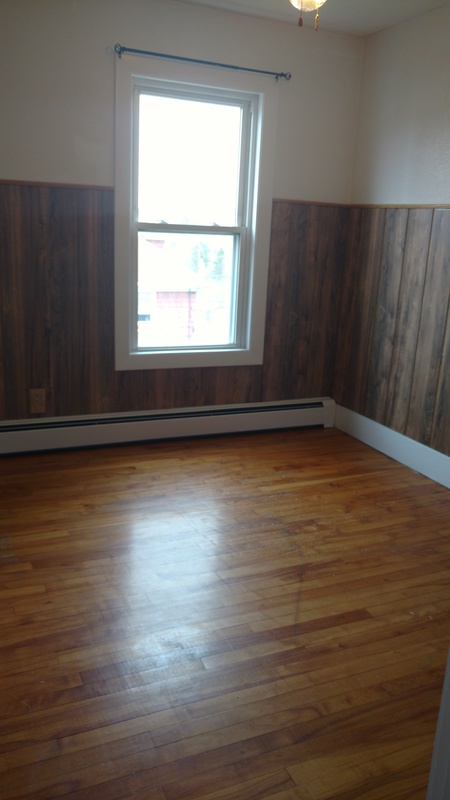 2 bedroom 1 bath renovated second floor apartment. comes with a parking spot in the garage. 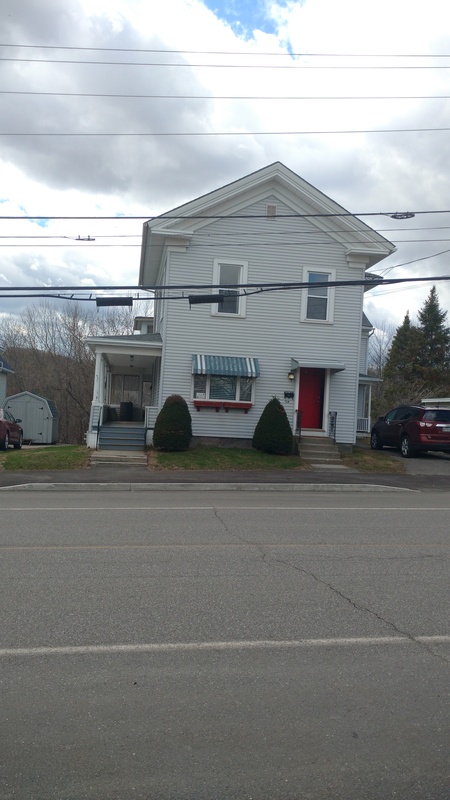 2060 North Belfast Ave. Augusta RENTED!!! 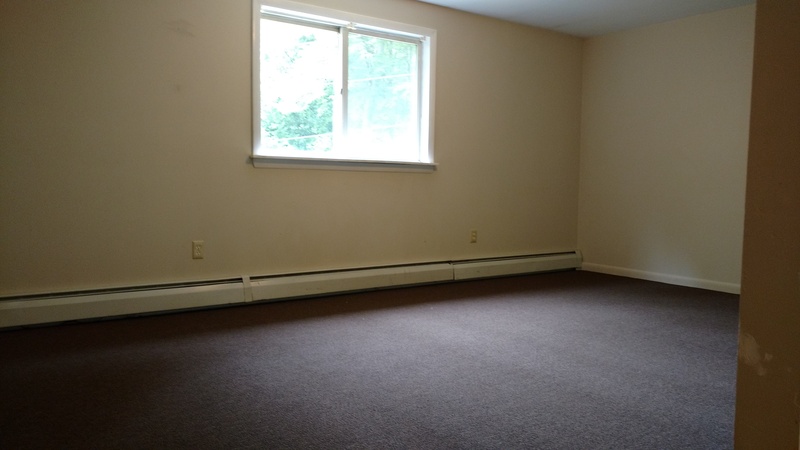 $675/month includes heat,water,sewer, plowing and yard work. 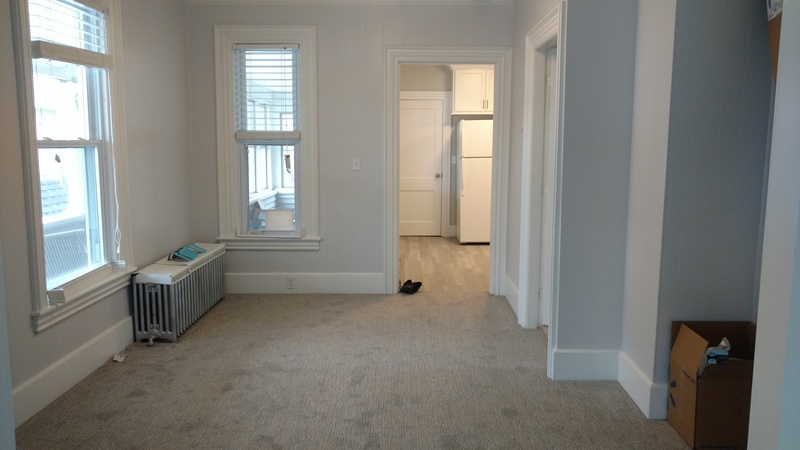 Asking for no pets, no smoking, a first months rent, double security deposit and good credit. 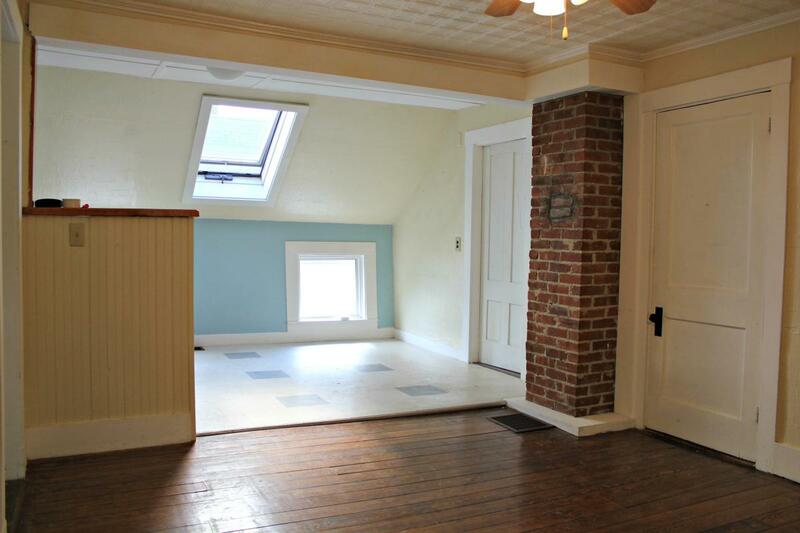 2 Bedroom 1 bath second floor apartment. 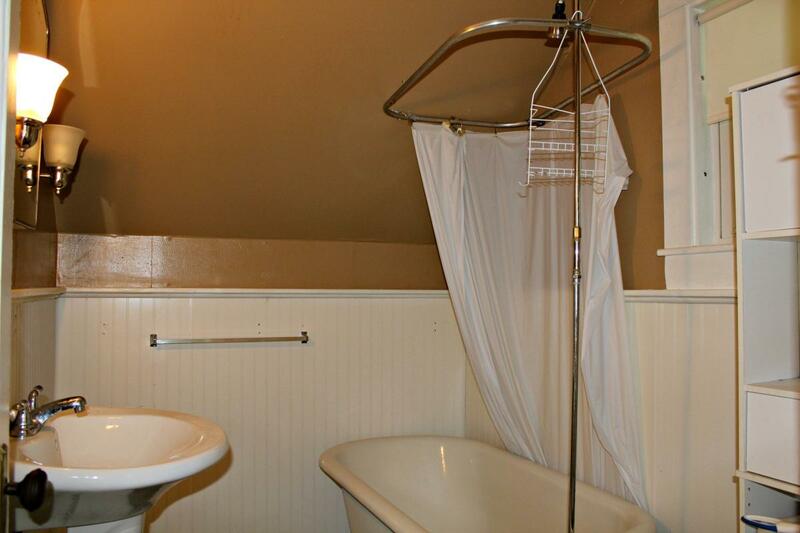 Has coin operated washer/dryer in the basement, hardwood floors off street parking. 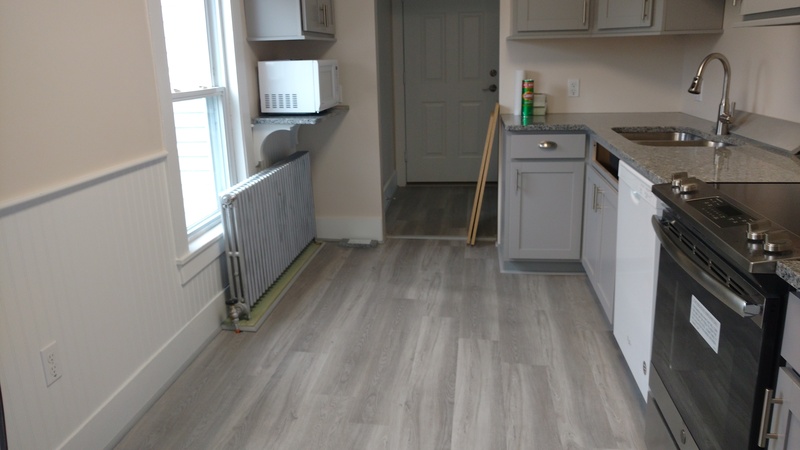 Fully furnished 1 bedroom 1 bath second floor apartment coming October! 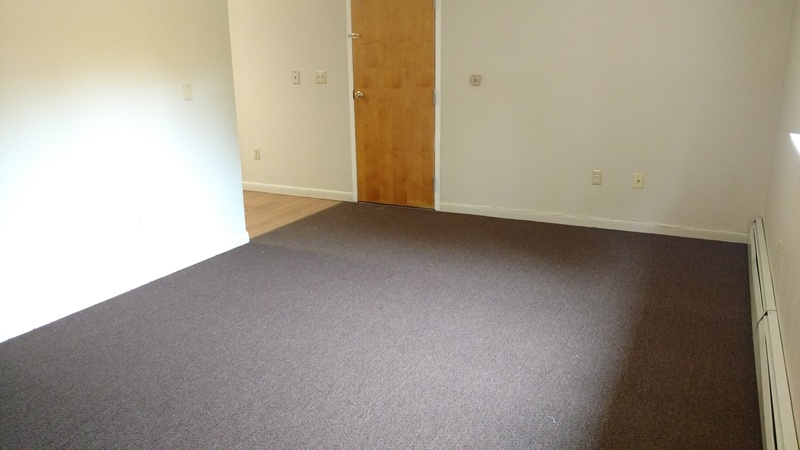 $1100/month includes heat, water, sewer, hot water, plowing, yard work, electric and internet. 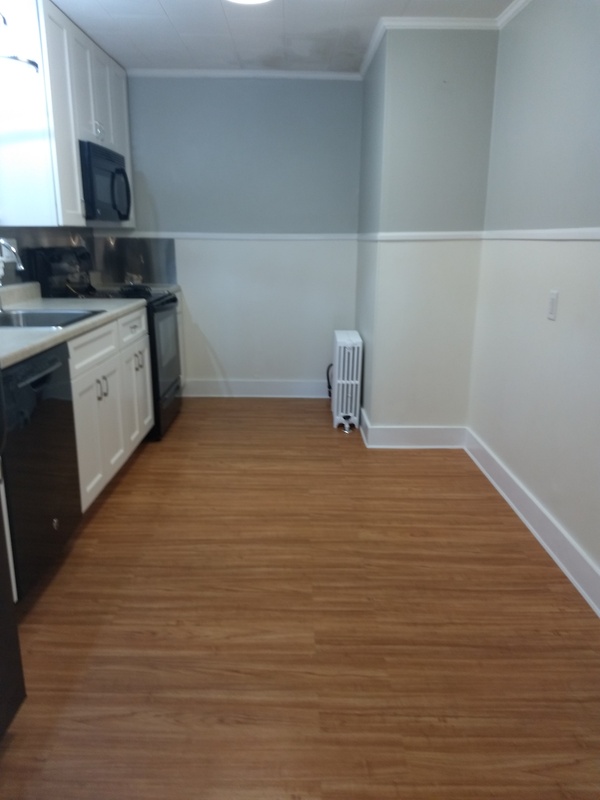 No pets no smoking asking for a first months rent, double security deposit and good credit. 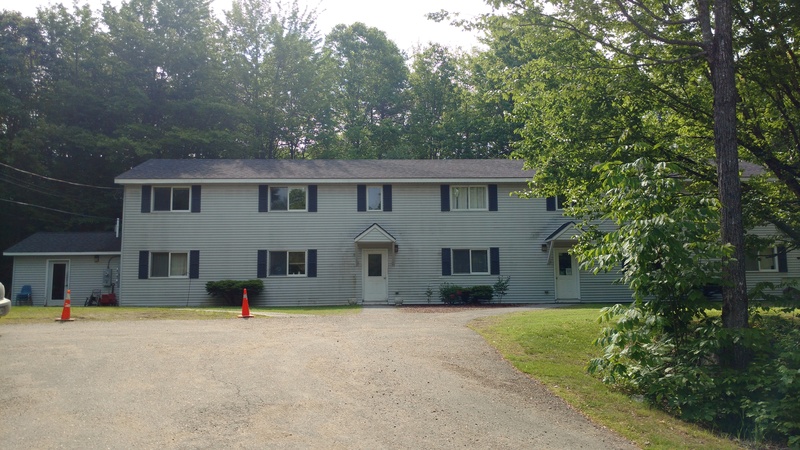 7 Lambard Court, #4, Augusta RENTED!! 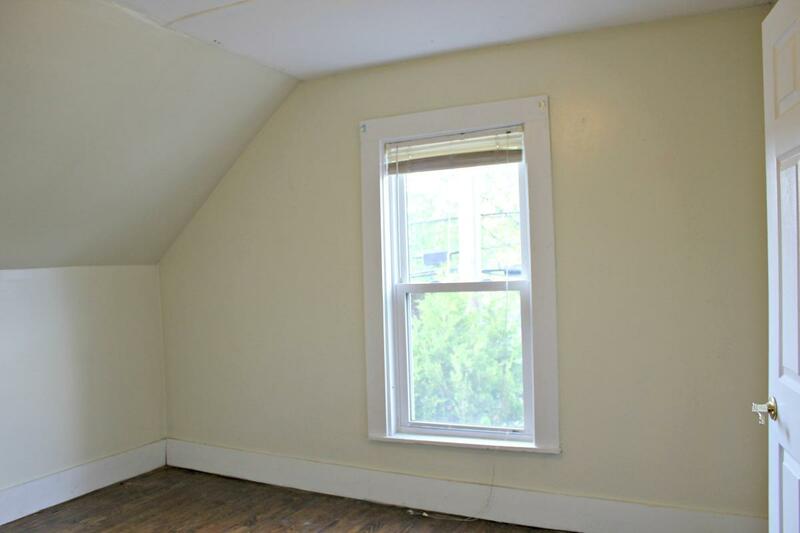 $550/month first floor efficency apartment. 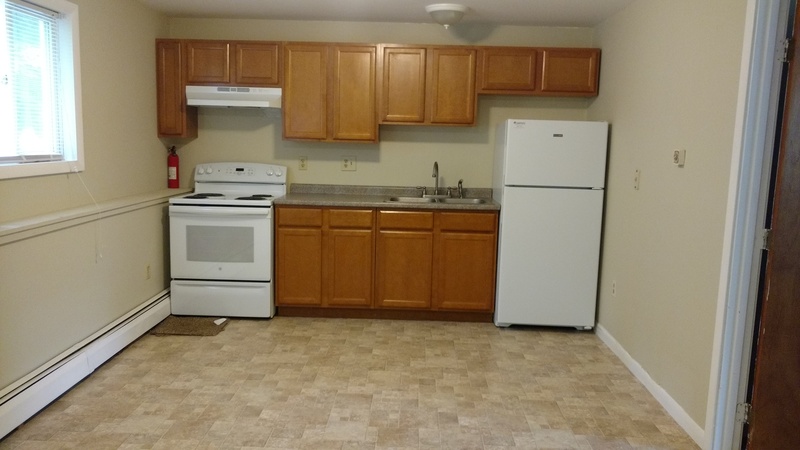 Asking for no pets, no smoking, a first months rent, double security deposit and good credit. 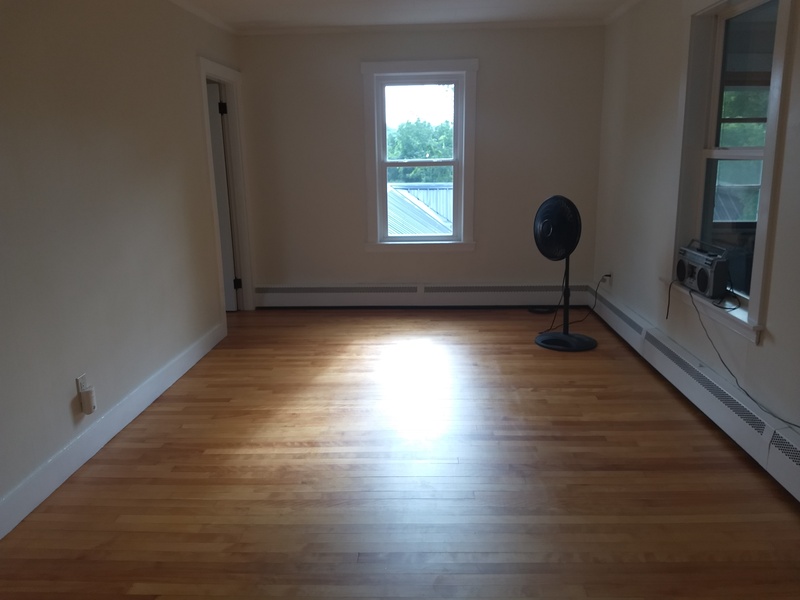 Rent includes heat,water,sewer, plowing and yard work. 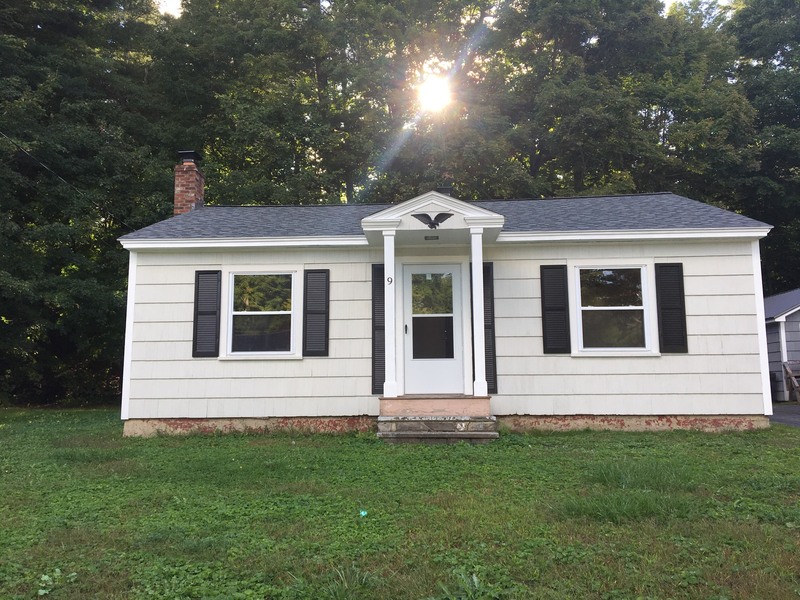 2 Ridgewood Drive, Augusta RENTED! 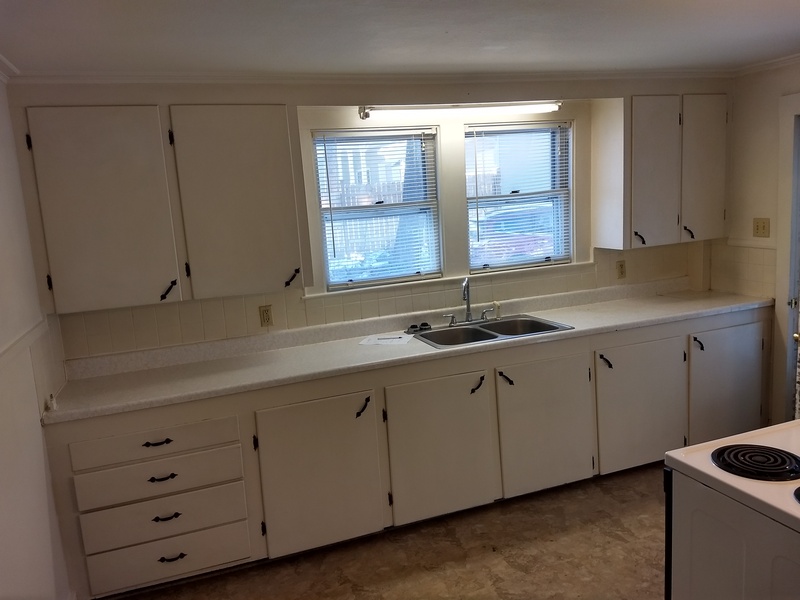 $1300/month nothing included 3 Bedroom 1 bath ranch with finished basement and garage. 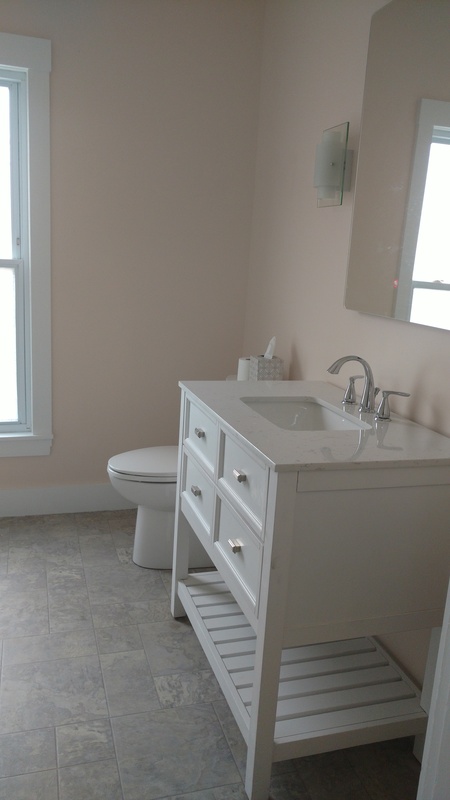 renovated bathroom. 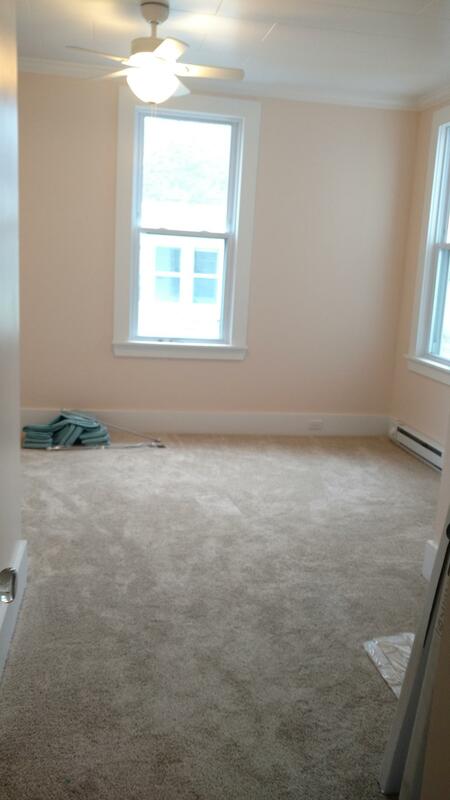 Asking for no pets no smoking, a first months rent, double security deposit and good credit. 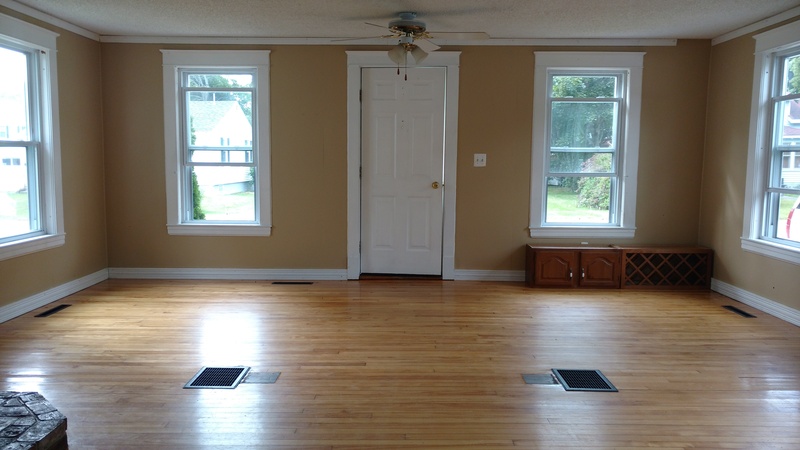 18 Sherwood Drive, Augusta Available Sept. 1st. RENTED! 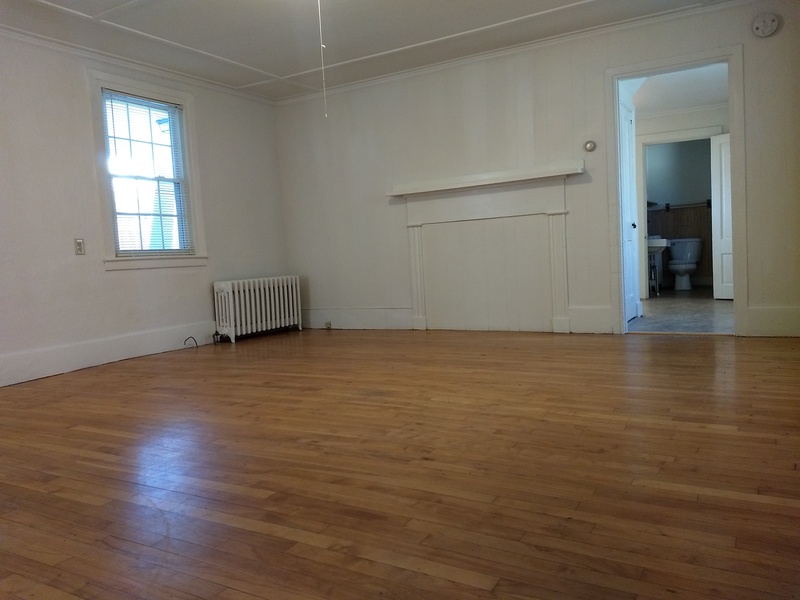 $1150/month includes water. 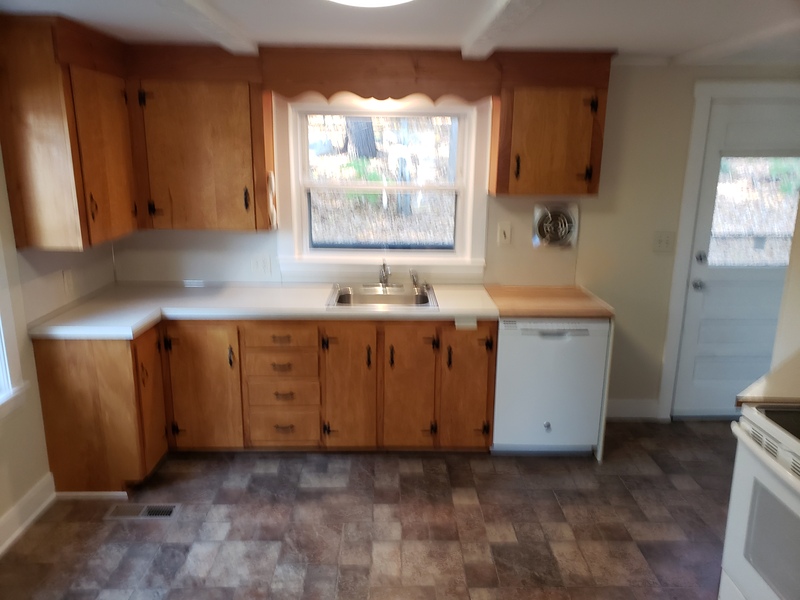 A 3 bedroom 1 bath ranch. 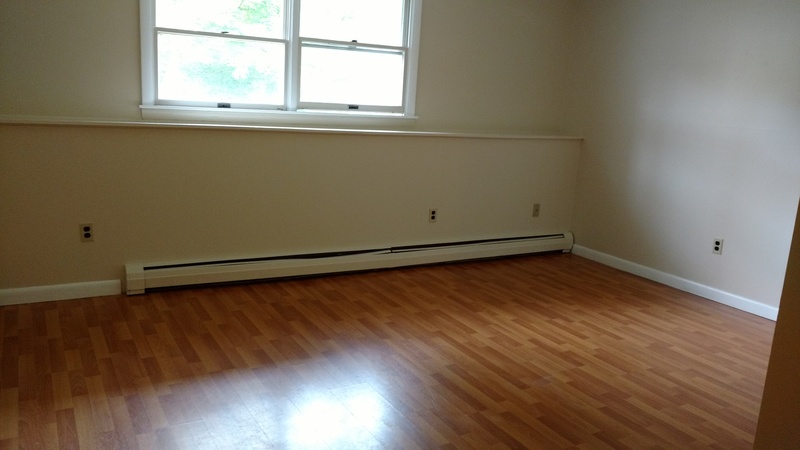 Asking for no pets no smoking, a first months rent, double security deposit and good credit. 176 Augusta Road, #14, Belgrade RENTED!! 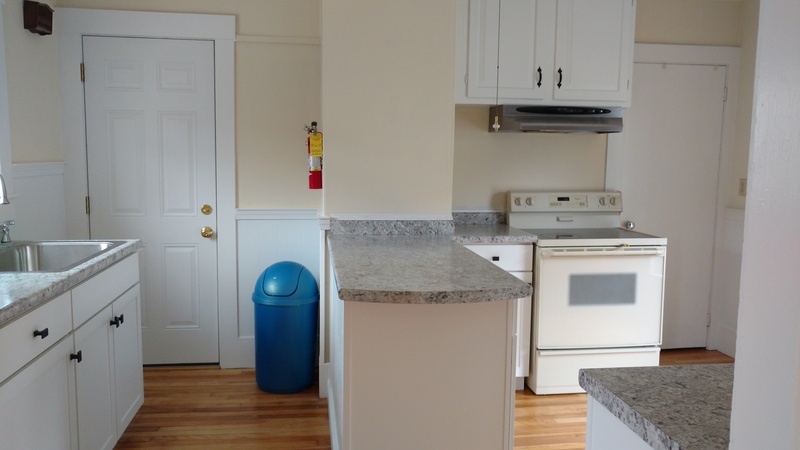 $825/month 2 bedroom 1 bath second floor apartment with shared coin operated laundry on site. Asking for no pets no smoking, a first months rent, a security deposit and good credit. 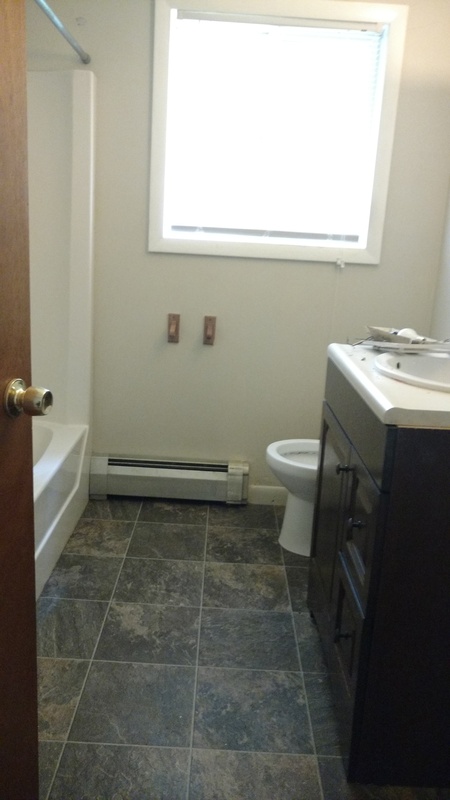 Rent includes heat,water,sewer, plowing and yard work. 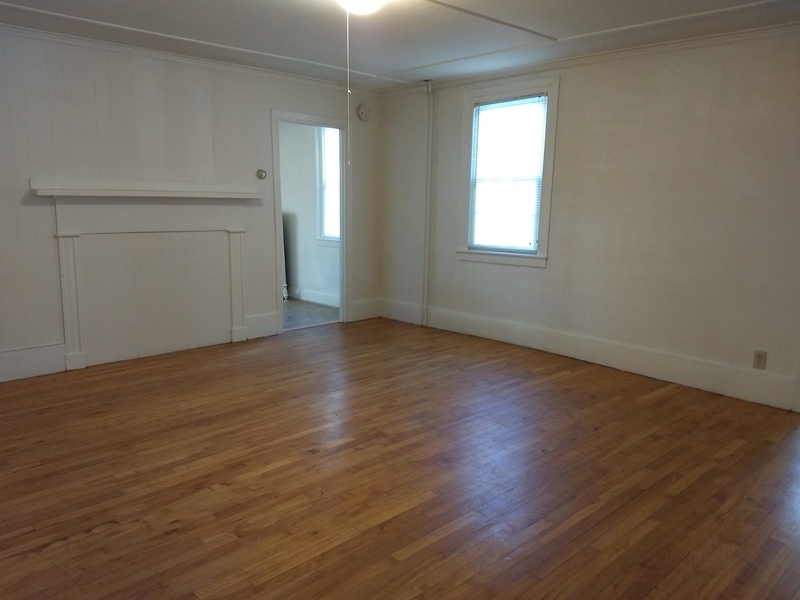 $675/month 1 Bedroom 1 bath first floor apartment . 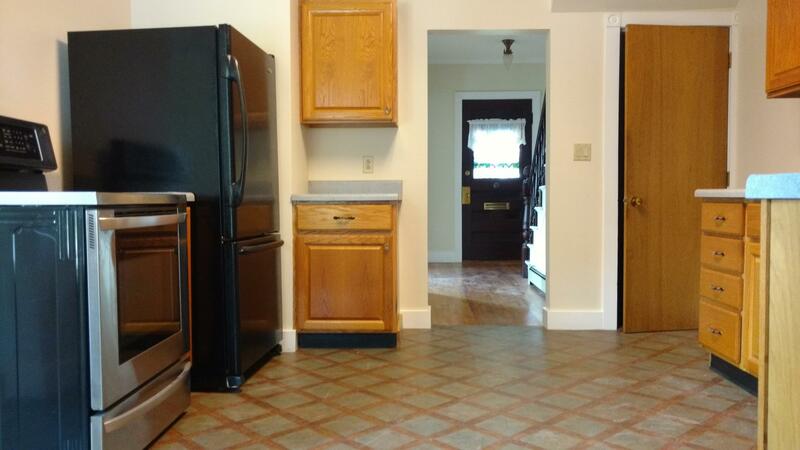 Newer, carpet and kitchen flooring, very clean. 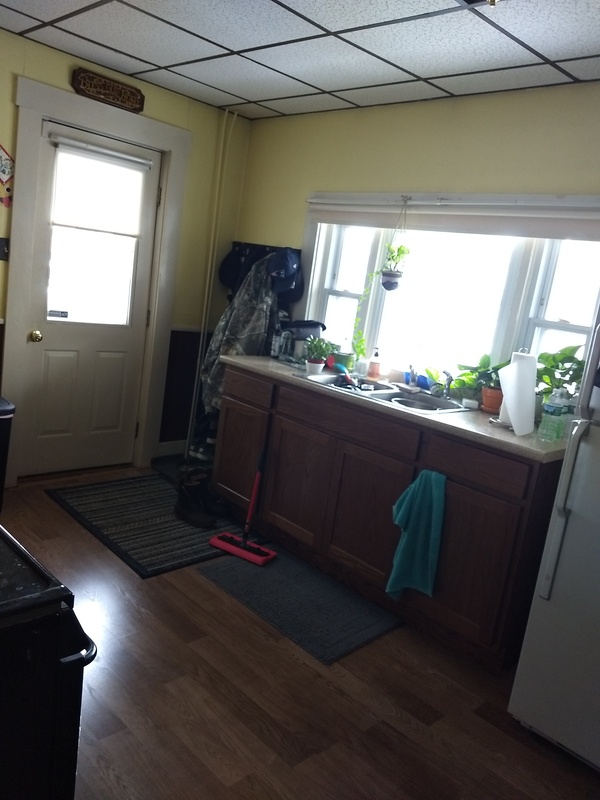 rent includes heat,water,sewer, plowing and yard work. 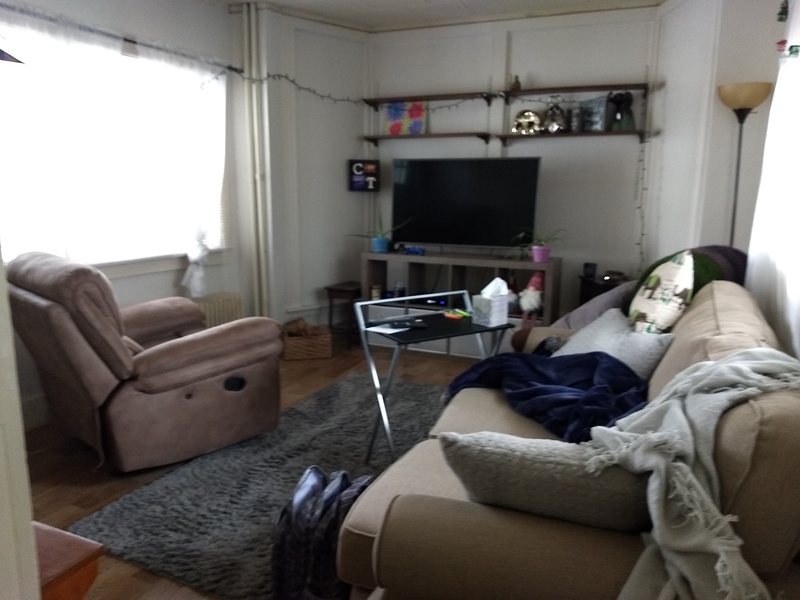 coin/shared washer and dryer dryer in the building.Asking for no pets, a first months rent, a security deposit and good credit. 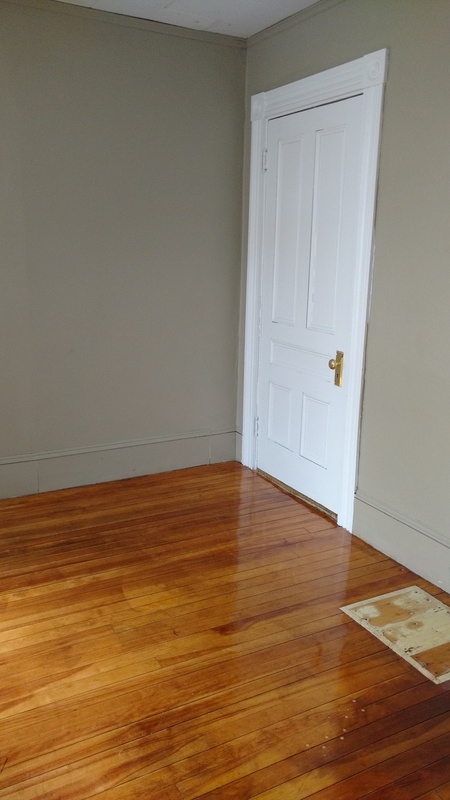 $700/month 1 Bedroom 1 bath very clean second floor apartment. Asking for no smoker, may consider a 1 well behaved cat. 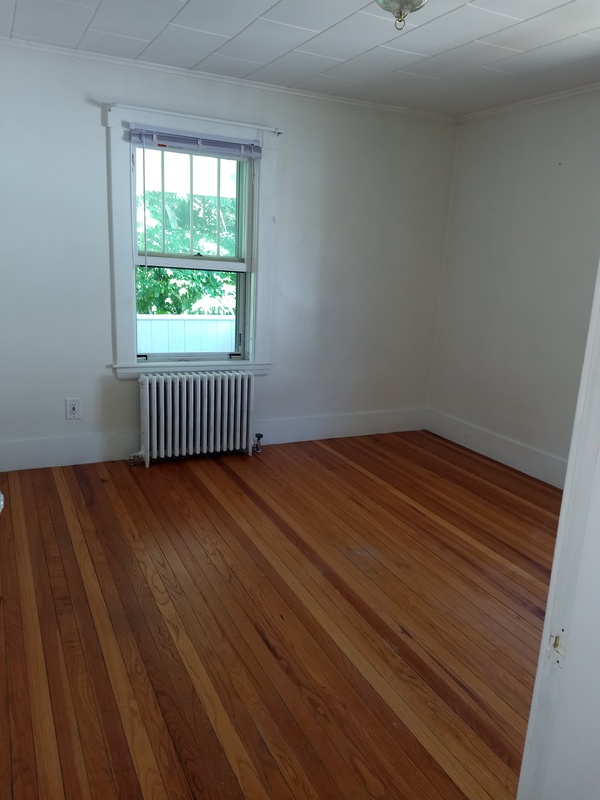 Asking for a first months rent, double security deposit and good credit. 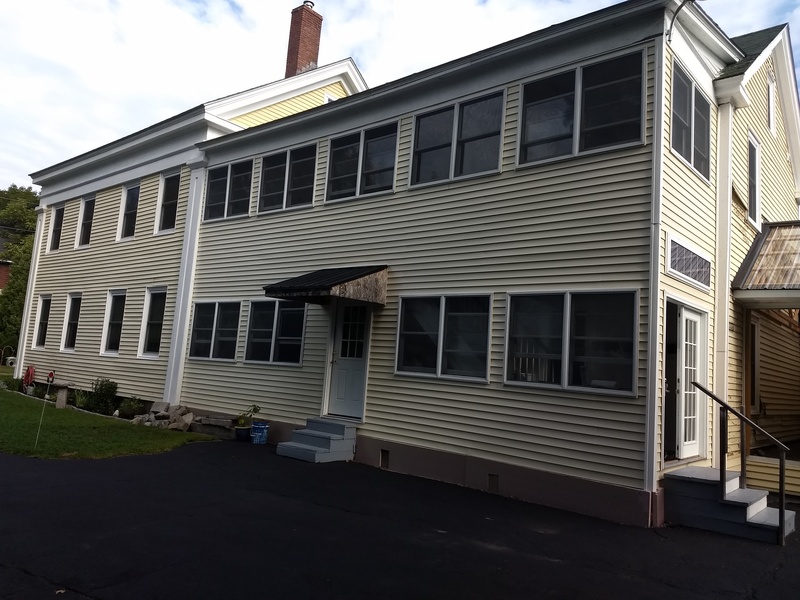 Rent includes heat,water,sewer, plowing and yard work.Free shared washer/dryer in the building and extra storage space. 2 bedroom 1 bath first floor condo. washer/dryer hook up in the unit. 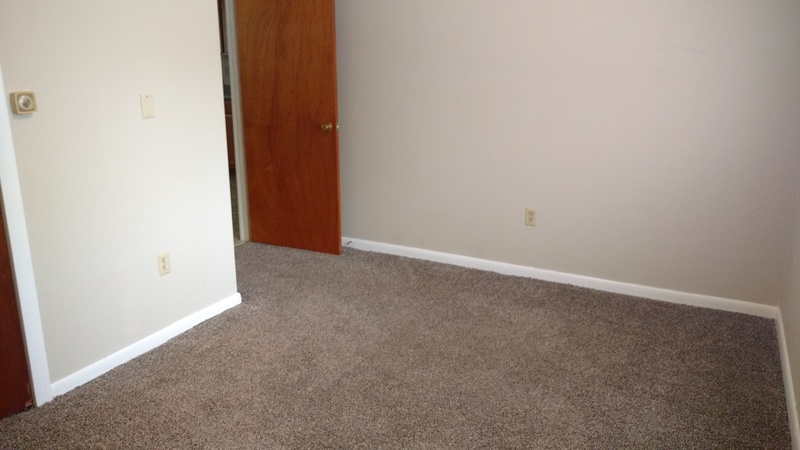 asking for no pets, no smoking, a first month rent, double security deposit and good credit. 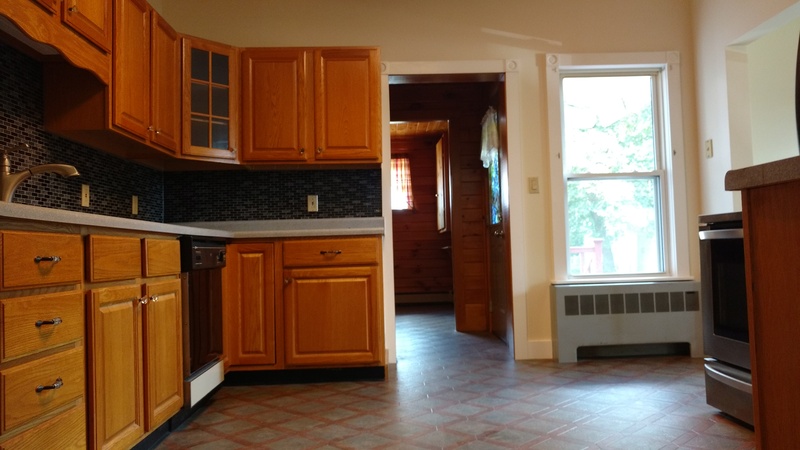 Rent includes heat, water, sewer, plowing and yard work. available now. 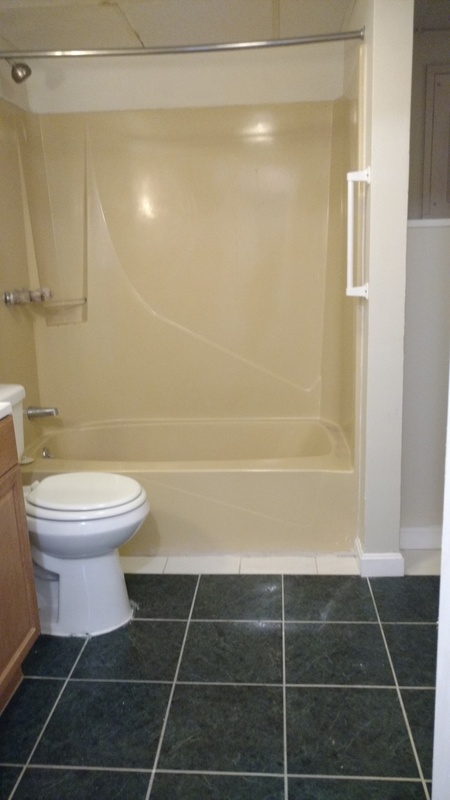 $900/month 2 bedroom 1 bath condo. available July 1st. 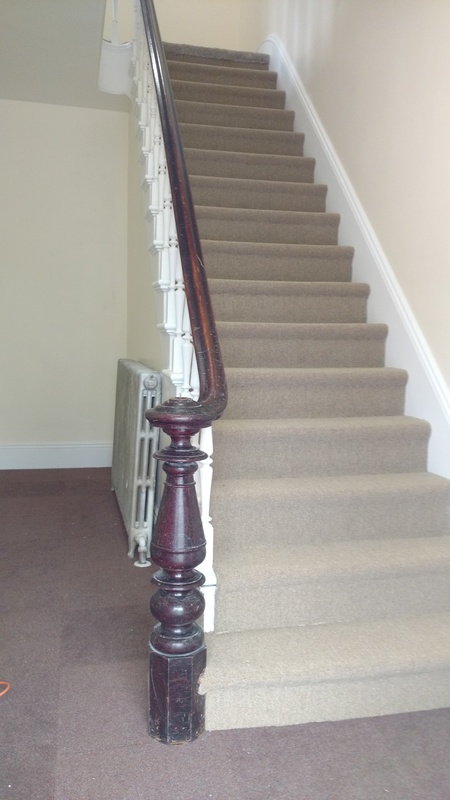 First floor . washer dryer in the unit. 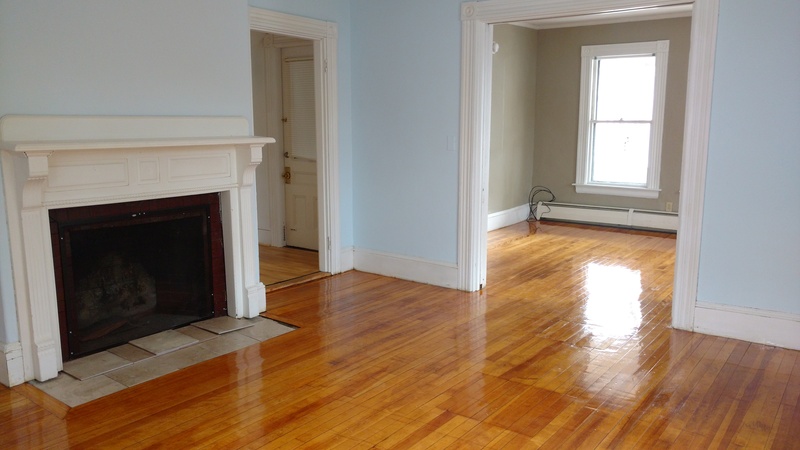 $1150/month This is a a beautiful 2 bedroom 2 bath second floor apartment. All renovated top to bottom. 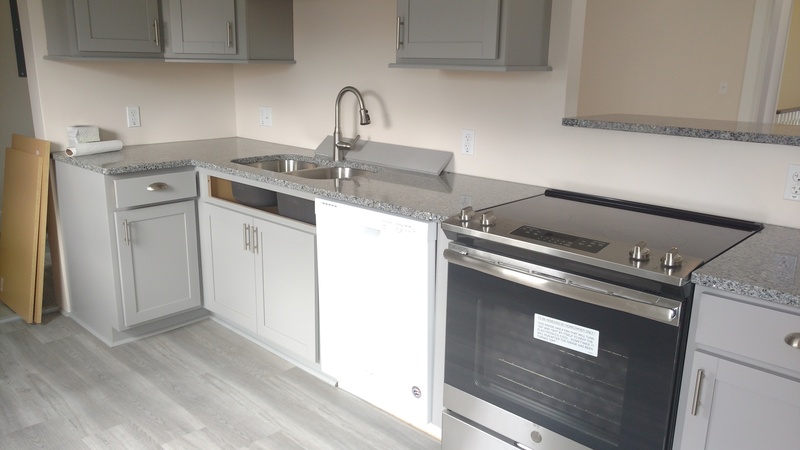 New windows, doors, electrical, plumbing, flooring, granite counter tops kitchen and bath all new, all new appliances and has off street parking.Washer/dryer in you unit. Plenty of storage. 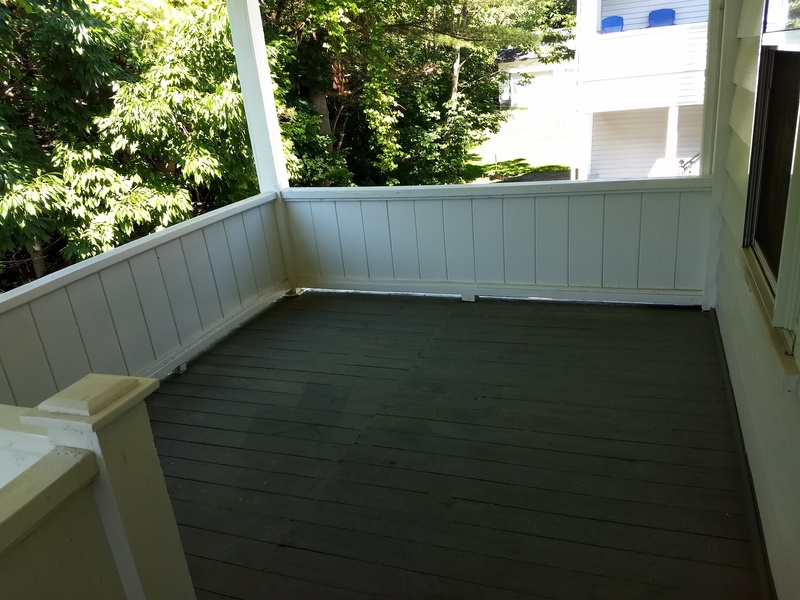 Large covered porch. 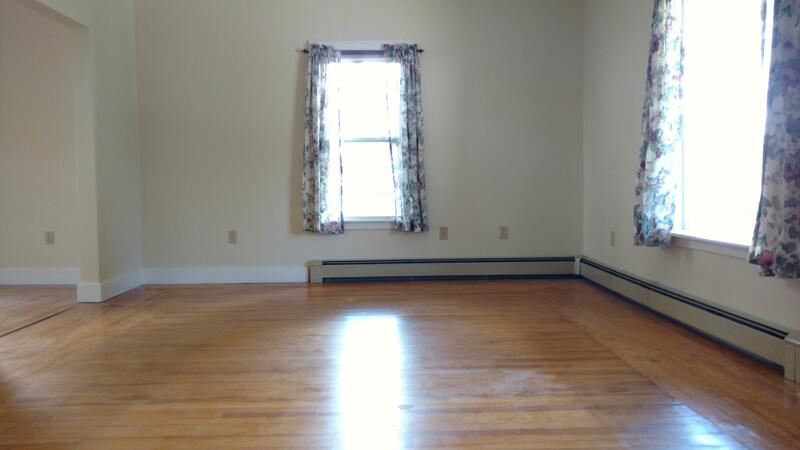 Rent will include heat, water, sewer, plowing and yard work.Great location. 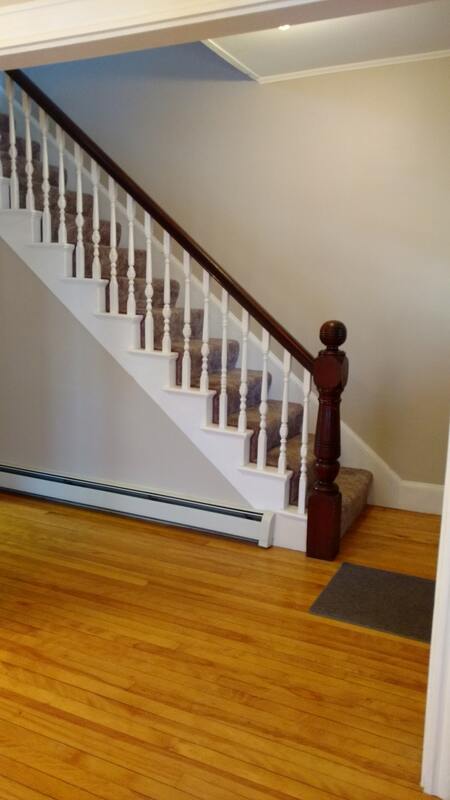 Close to shopping, rail trail, hospital,farmers market,state house. Call today to set up your showing.Asking for no pets, no smoking, a first months rent, double security deposit and good credit. 12 month or longer lease term. 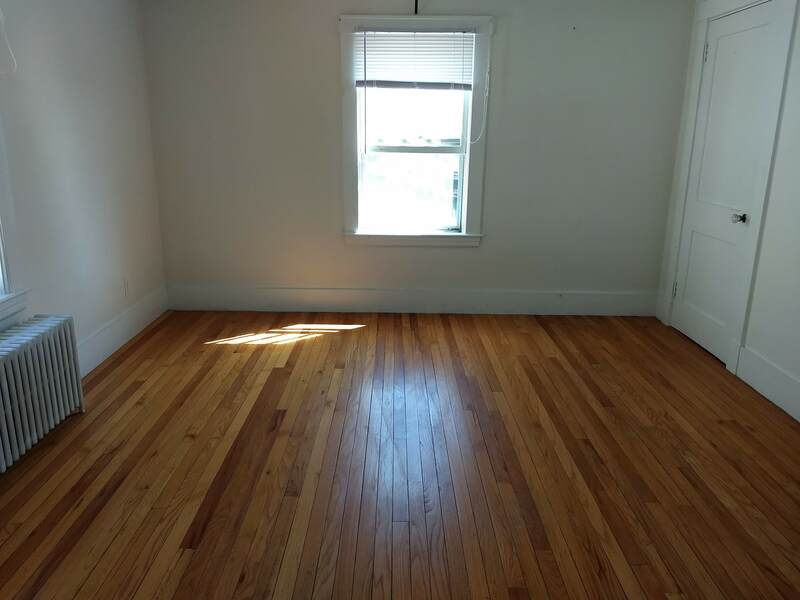 Large 1 bedroom 1 bath second floor apartment. 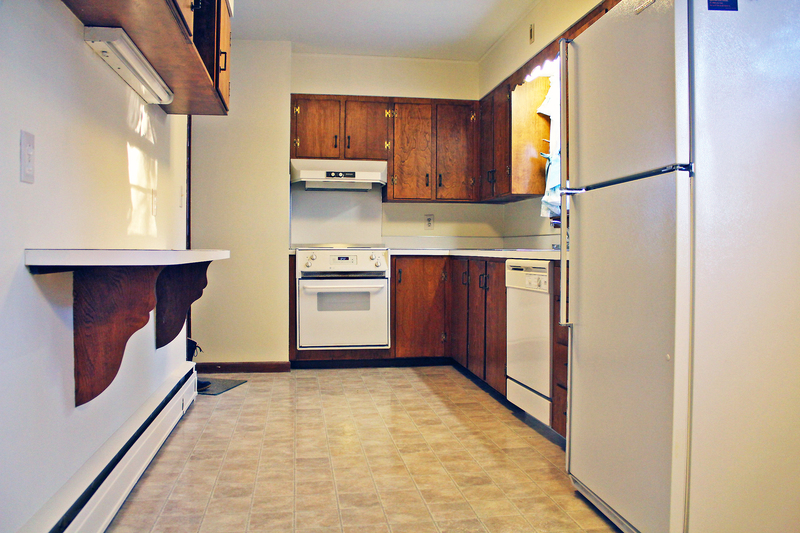 Asking for no pets no smoking, a first months rent, double security deposit and good credit. 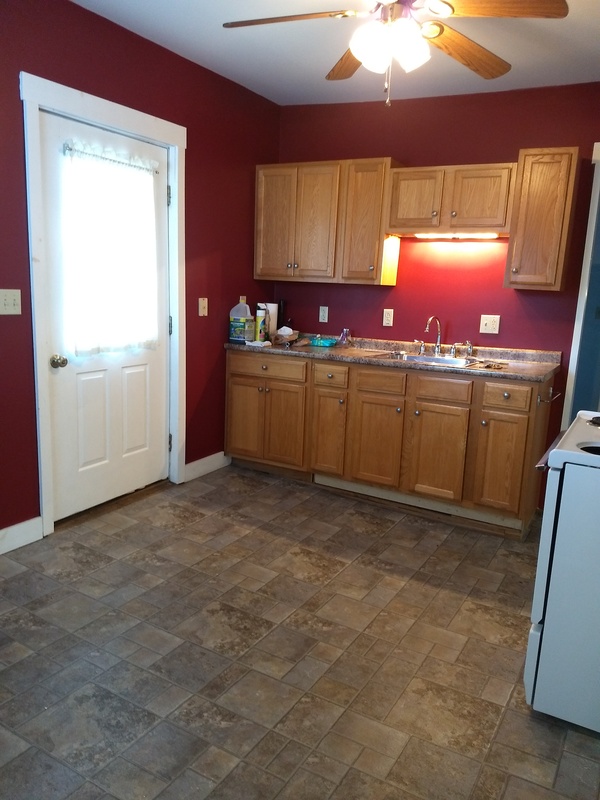 Rent is $800 for one person and $875/month will include heat, water, sewer, plowing and yard work. Close to hospital and shopping. Private deck for tenants use only. Very clean and well maintained. 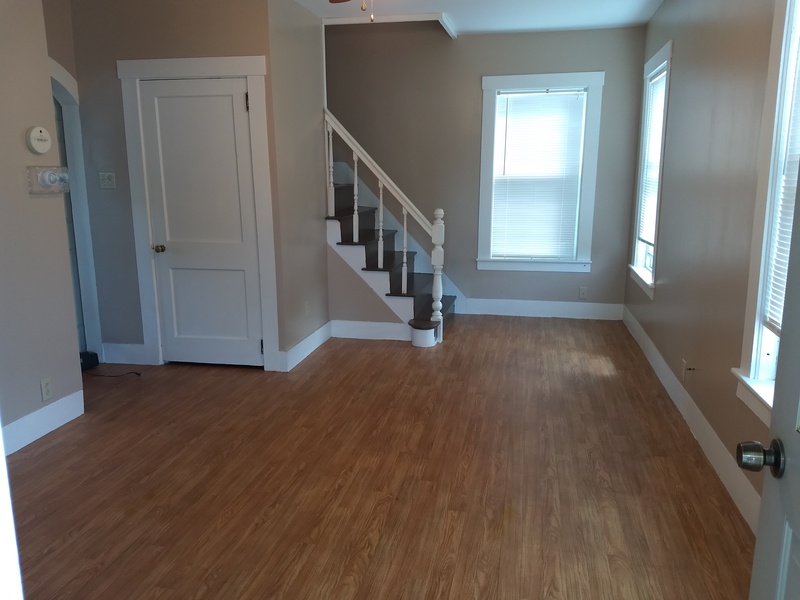 $1050/month This is a a beautiful 2 bedroom 1 bath second floor apartment. All renovated top to bottom. 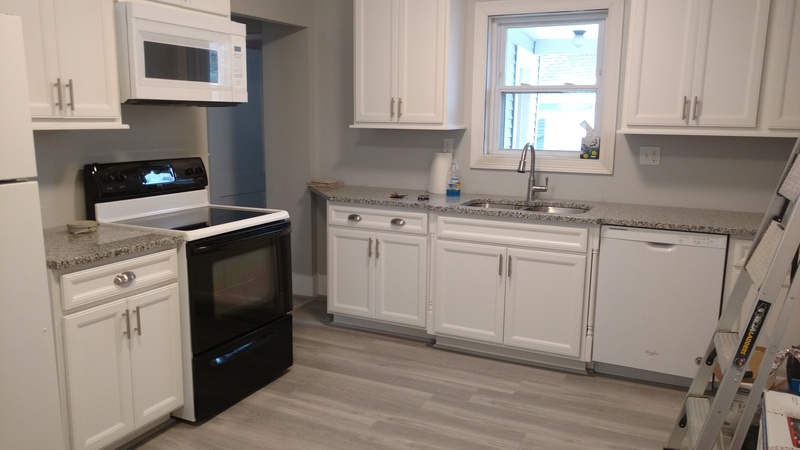 New windows, doors, electrical, plumbing, flooring, granite counter tops kitchen and bath all new, all new appliances and has off street parking.Washer/dryer in you unit. Plenty of storage. Rent will include heat, water, sewer, plowing and yard work.Great location. 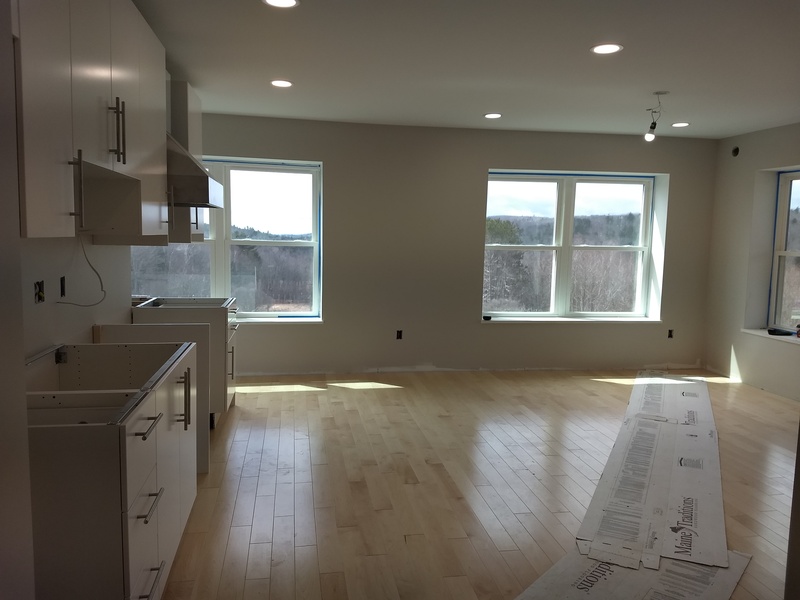 Close to shopping, rail trail, hospital,farmers market,state house. Call today to set up your showing. 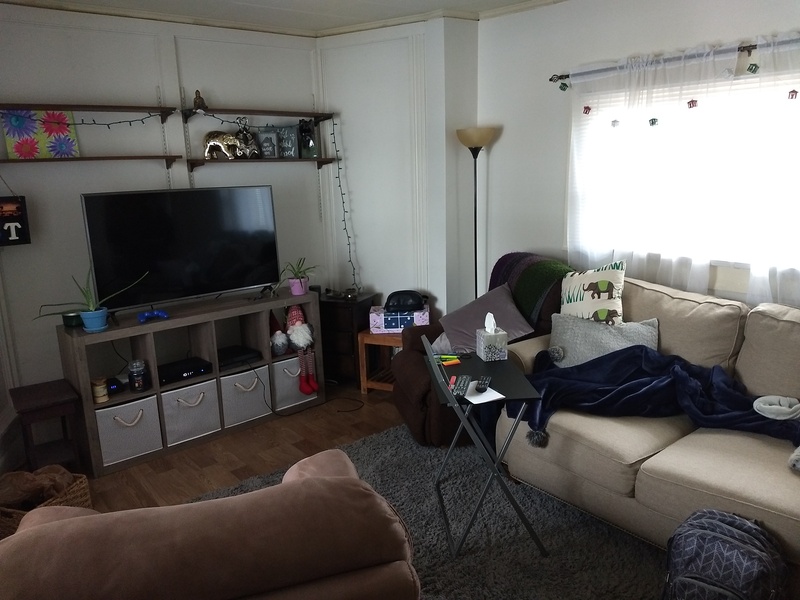 Asking for no pets, no smoking, a first months rent, double security deposit and good credit. 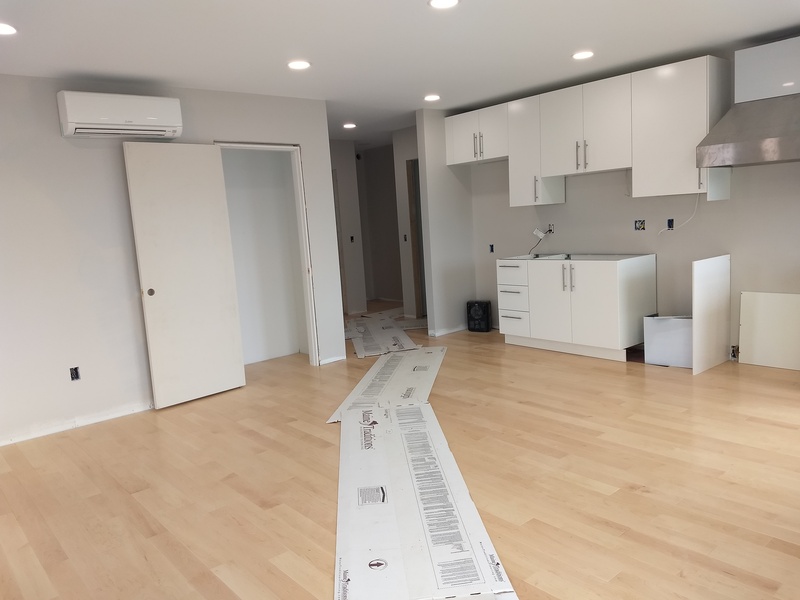 12 month or longer lease term. 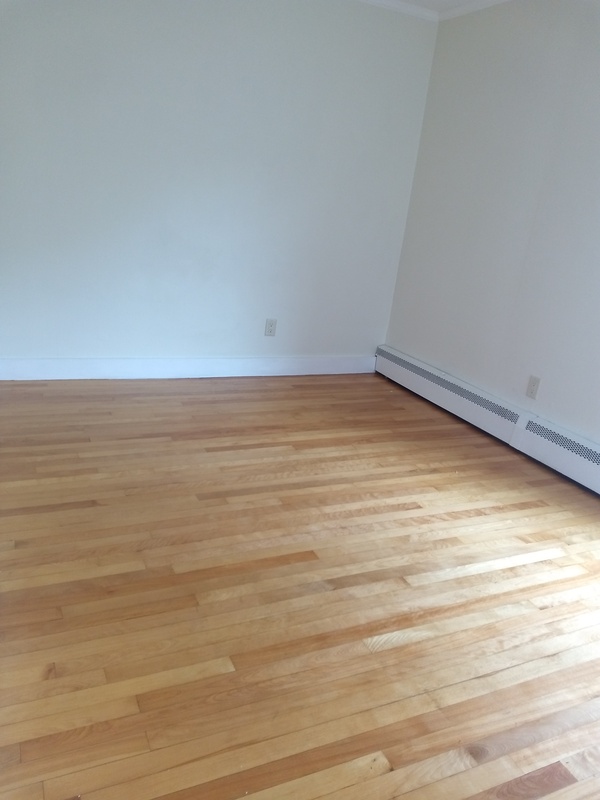 $950/month includes heat, hot water, water, sewer, plowing and yard work. 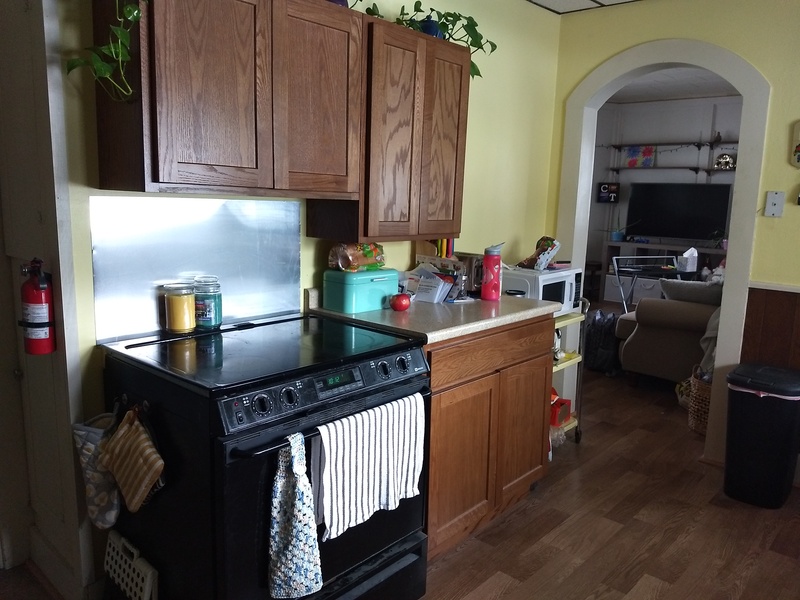 2 bedroom 1 bath second floor apartment. 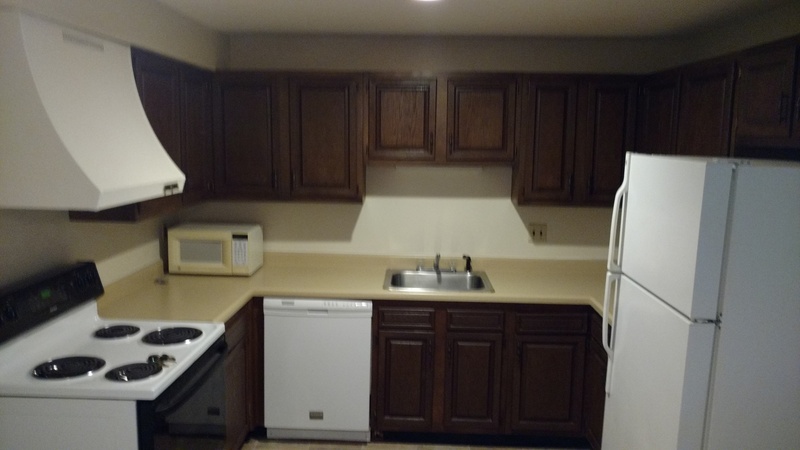 Asking for no pets no smoking, a first months rent, double security deposit and good credit. 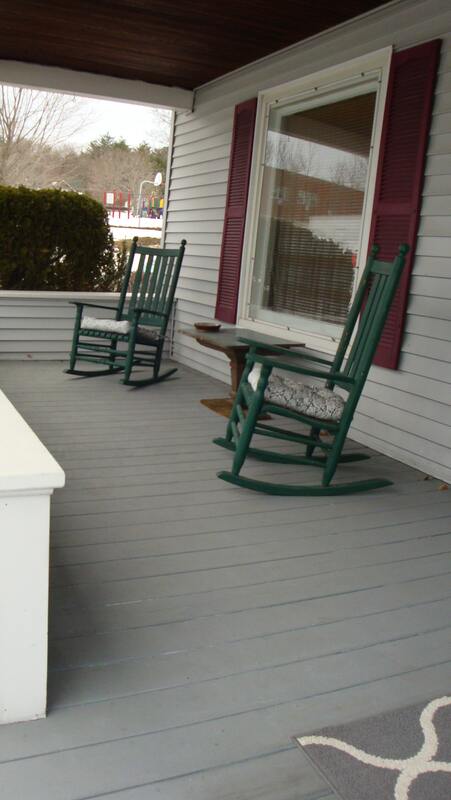 Has 2 cover porches for tenants use only all being updated with fresh paint new windows and doors. 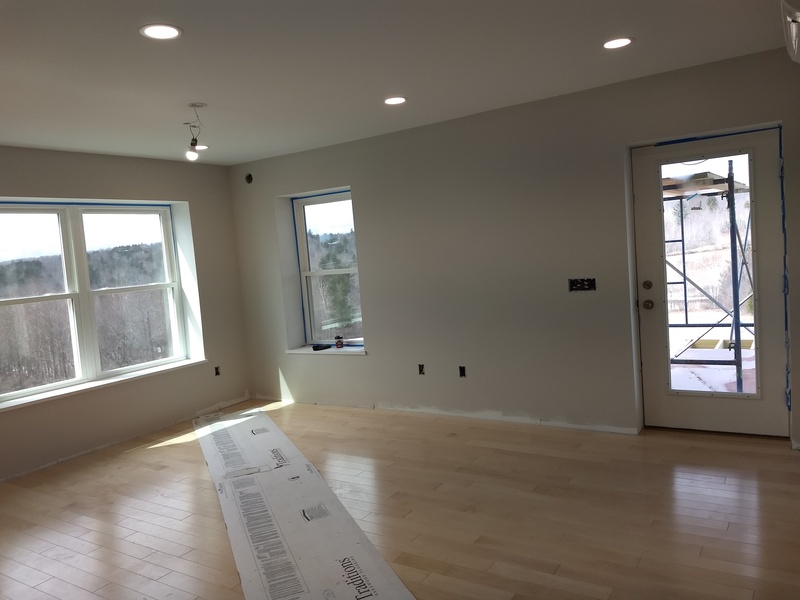 The kitchen and bath has all new flooring, updated bath last year, fresh paint through out all hard wood flooring is being redone as well. 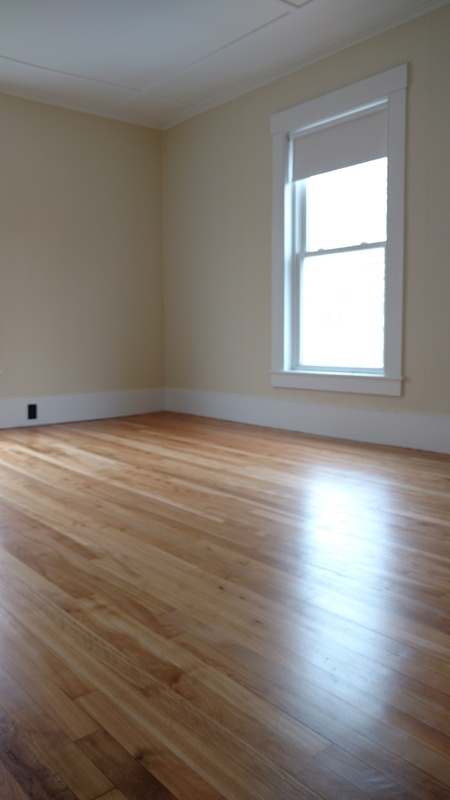 Available June 1 st RENTED!! 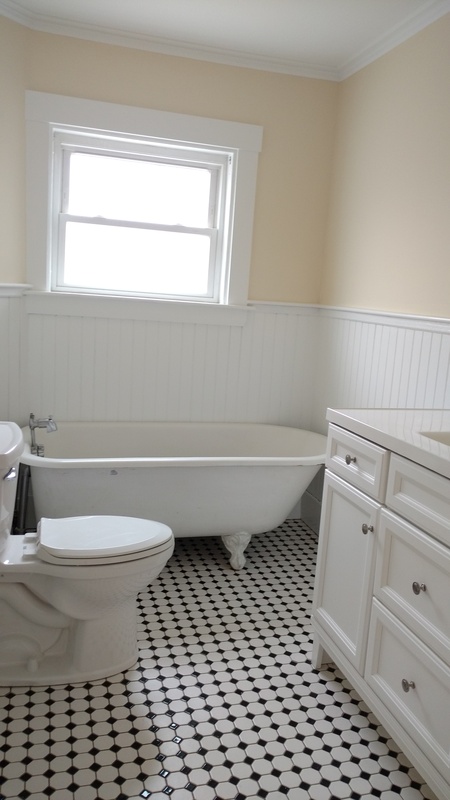 $1200/month includes heat, water, sewer, plowing and yard work. Asking for no pet and no smoking. 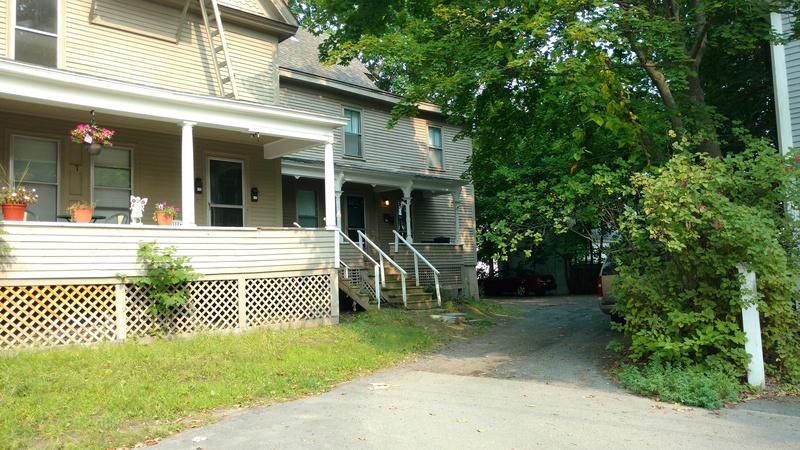 Large spacious 3 bedroom 1.5 bath duplex with a full basement. washer/dryer hook up in the unit. 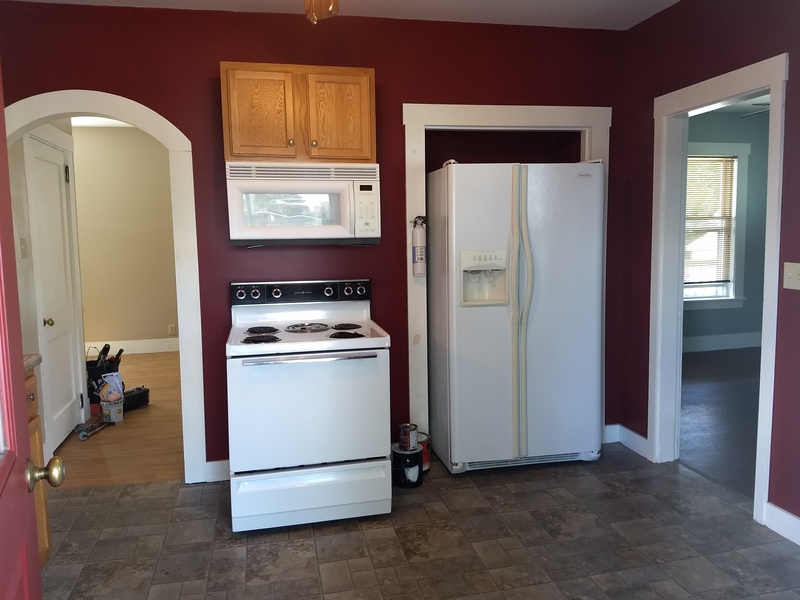 comes with a 2 car shared garage. 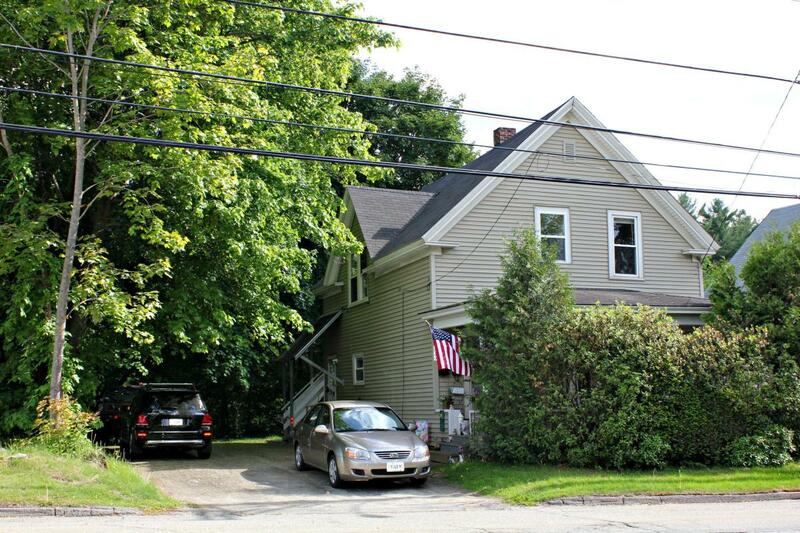 Great location close to shopping, rail trail, parks and schools. 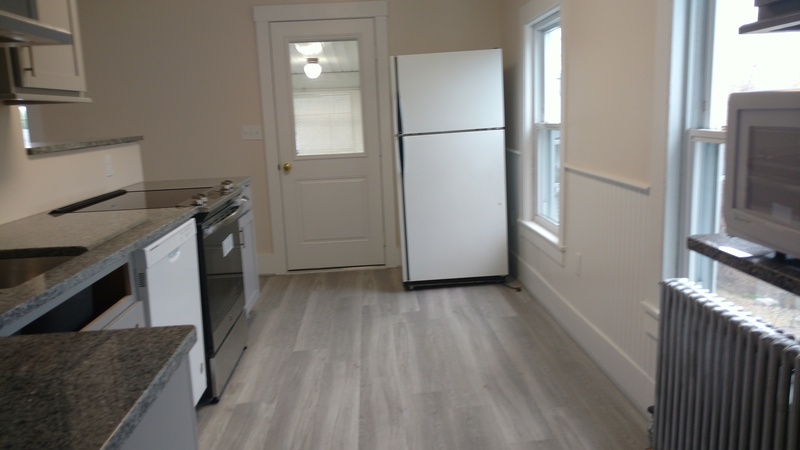 Plenty of storage, back up generator, fresh paint A first months rent, double security deposit and goo credit is needed. 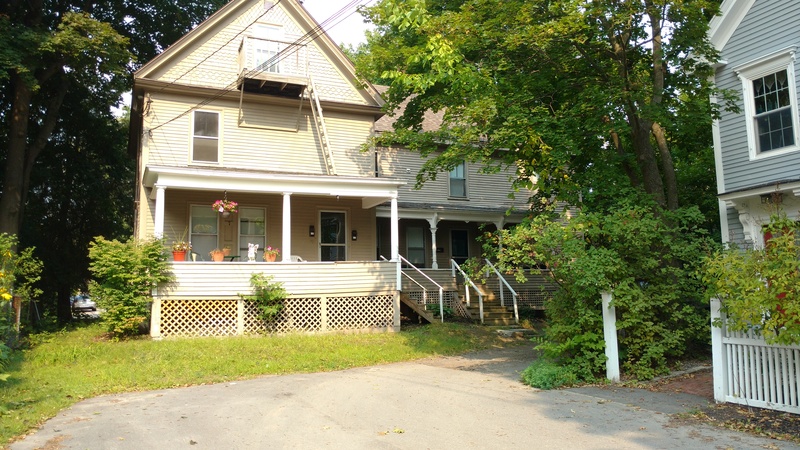 $675/month includes heat, hot water, sewer, water, plowing and yard work. 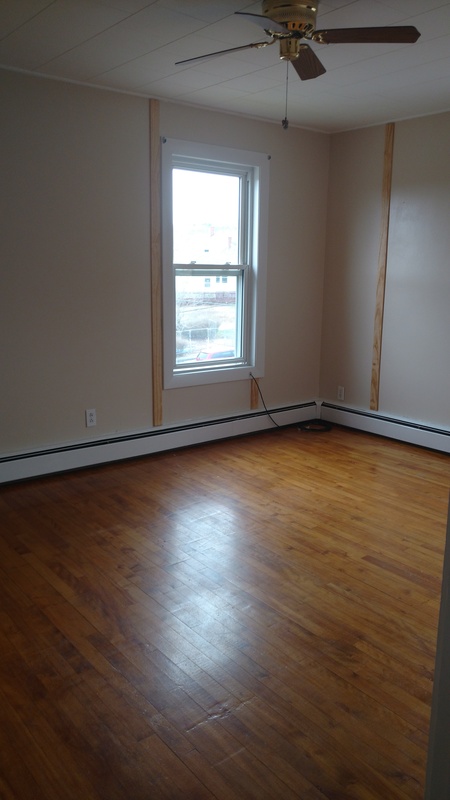 1 bedroom 1 bath second floor apartment coming available May 1st. 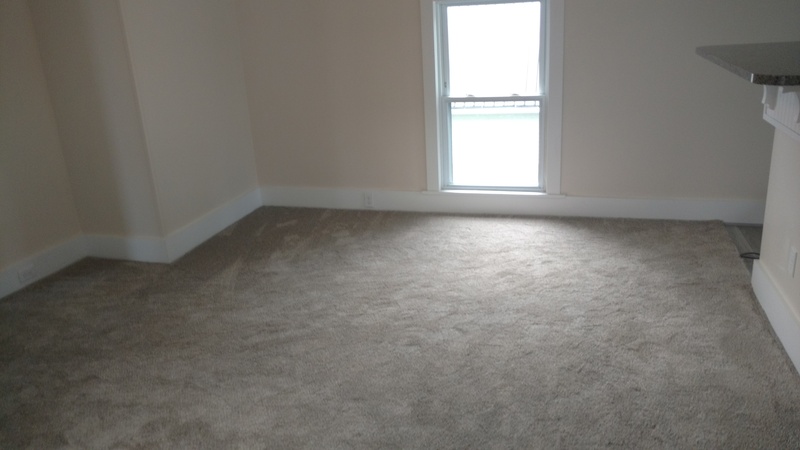 Asking for no pets, no smoking, a first months rent, double security deposit and good credit. 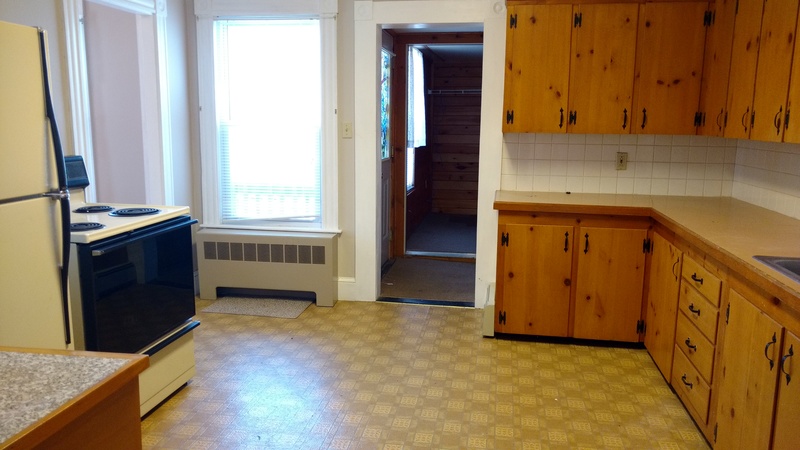 2 bedroom 1 bath first floor apartment. Available June 2end. 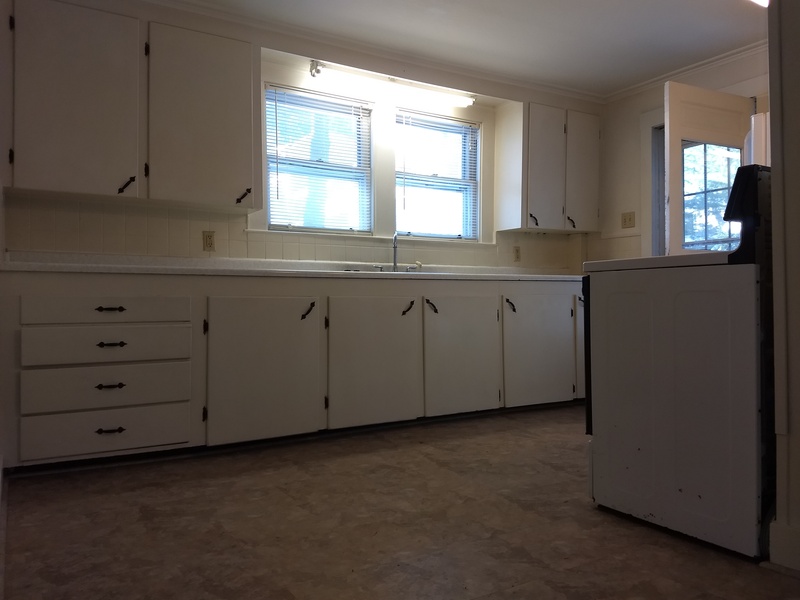 $850/month includes heat,hot water, water,sewer, plowing and yard work. 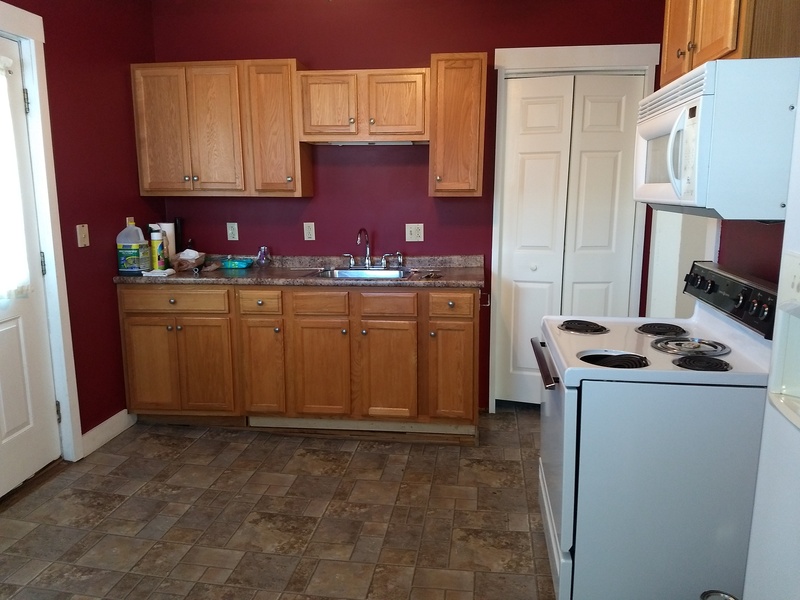 Asking for no pets no smoking, a first months rent, double security deposit and good credit. 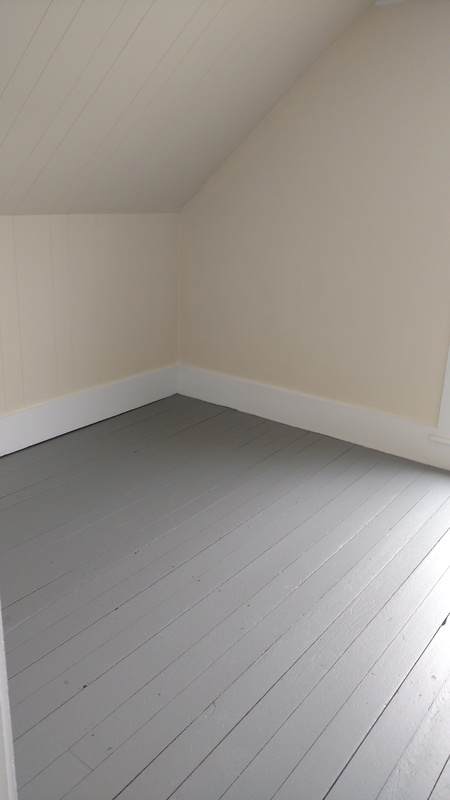 Fresh paint through out all hard wood floors have been redone. 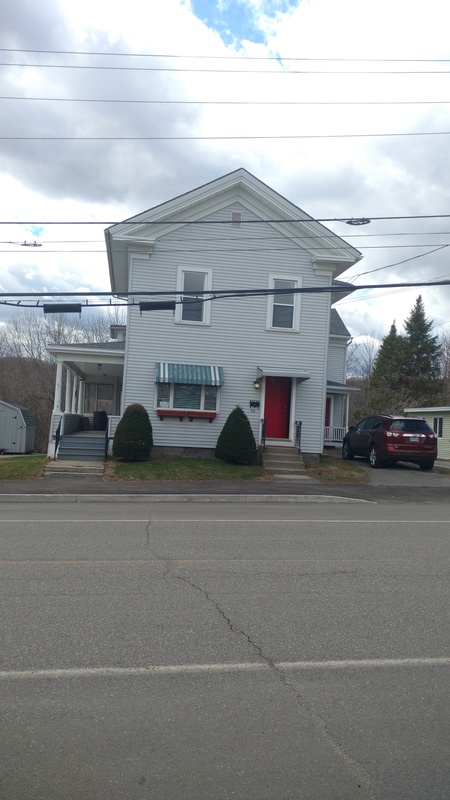 Augusta 2 bedroom 1 bath second floor apartment coming in April! 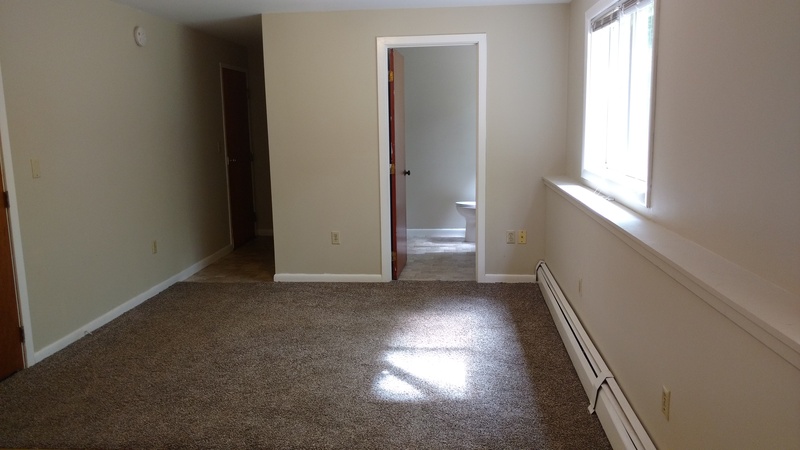 $675/month includes heat,water,sewer, plowing and yard work. 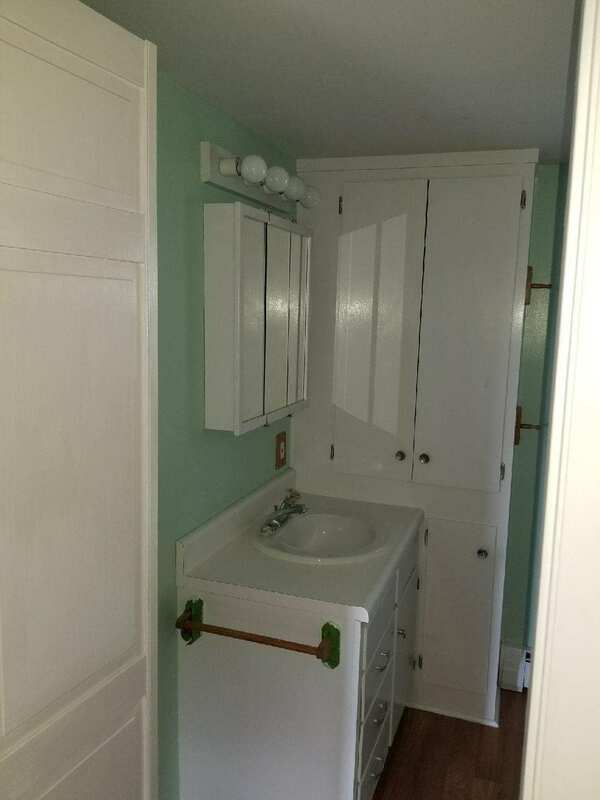 It has washer/dryer coin operated in the basement. 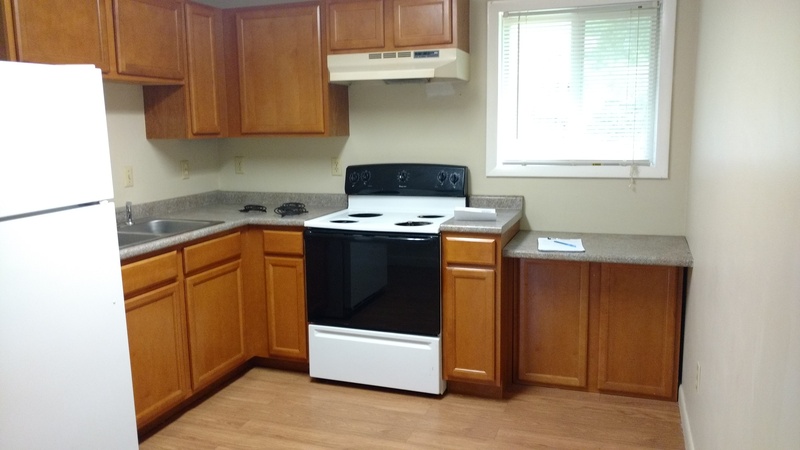 Asking for no pets no smoking, a first months rent, double security deposit and good credit. 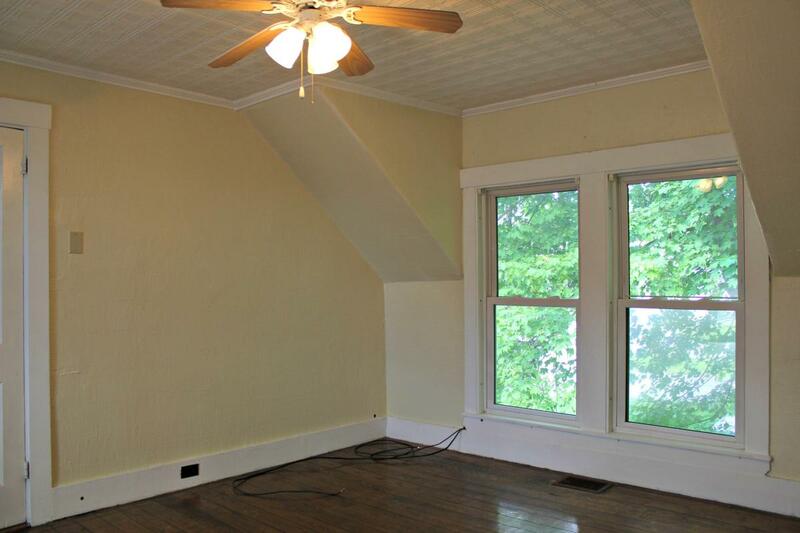 4 Bedroom 1 bath second floor apartment. 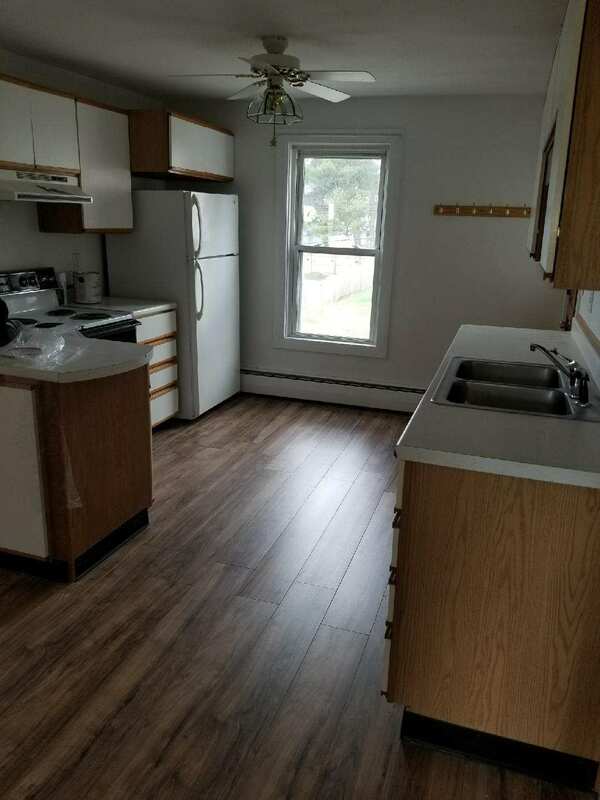 Asking for no pets, no smoking, a first months rent, a double security deposit and good credit. 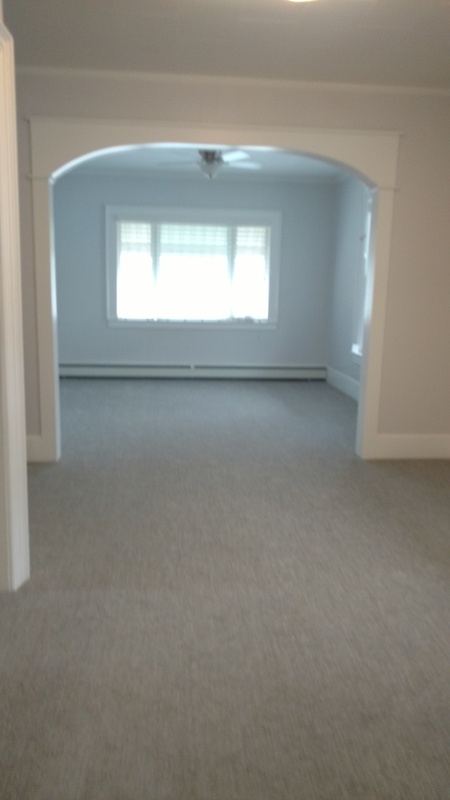 $950/month includes heat,water,sewer, plowing and yard work. 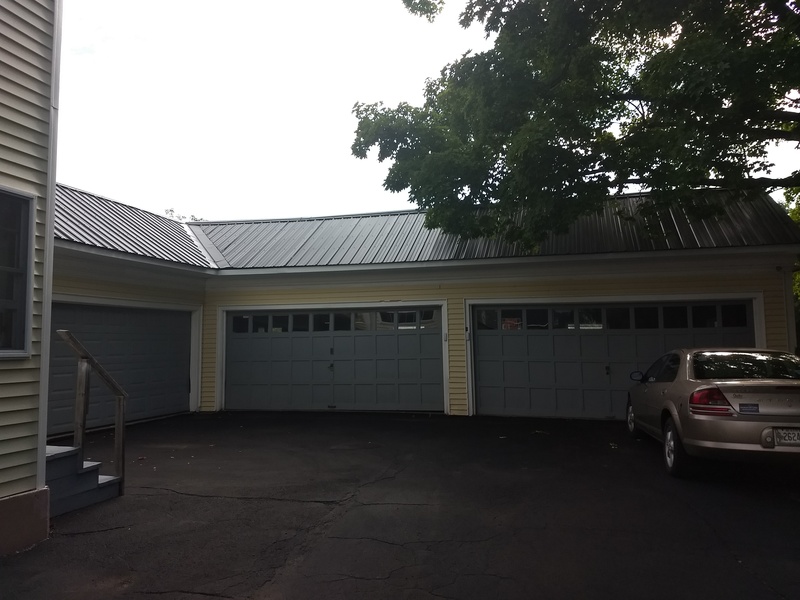 Building has new metal roof, new insulation, new hot water heater, newer furnace and new electrical. 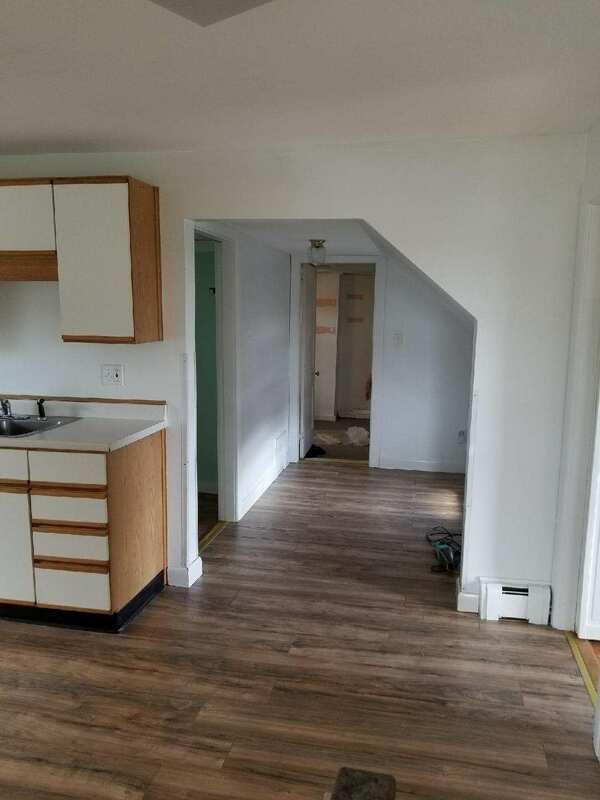 3 Bedroom 1 bath first floor apartment. 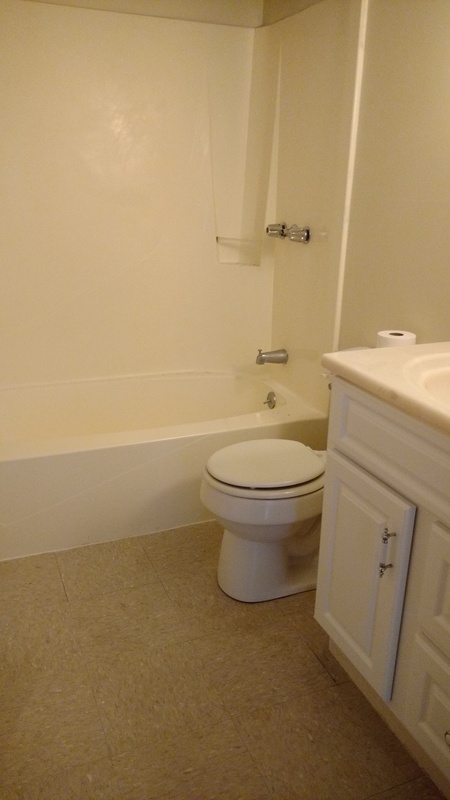 Asking for no pets, no smoking, a first months rent, double security deposit and good credit. 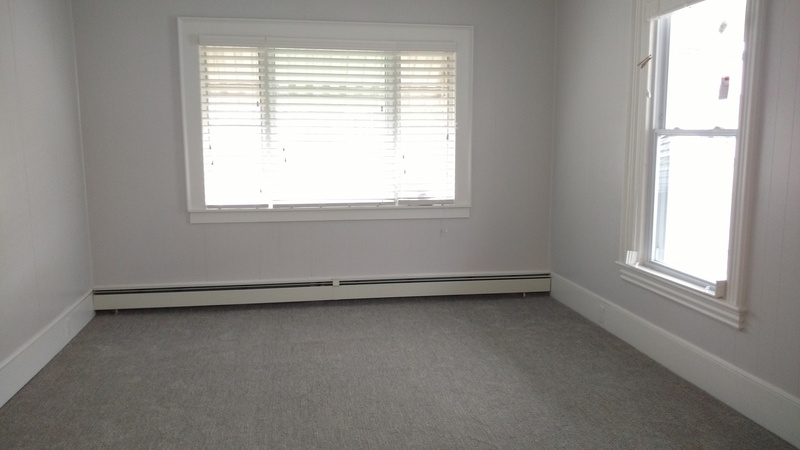 $900/month includes heat,water,sewer, plowing and yard maintenance. 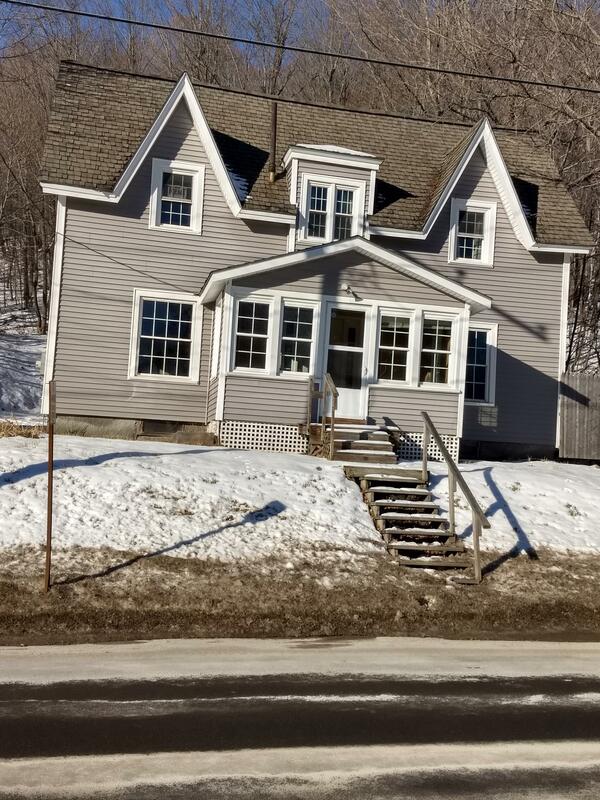 Building has new metal roof, all new insulation, electrical , hot water heater and newer furnace. 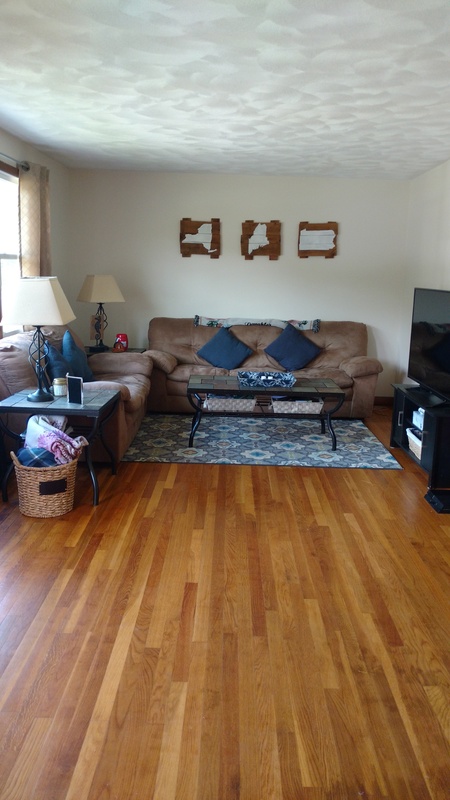 2 bedroom 1 bath second floor condo for rent. 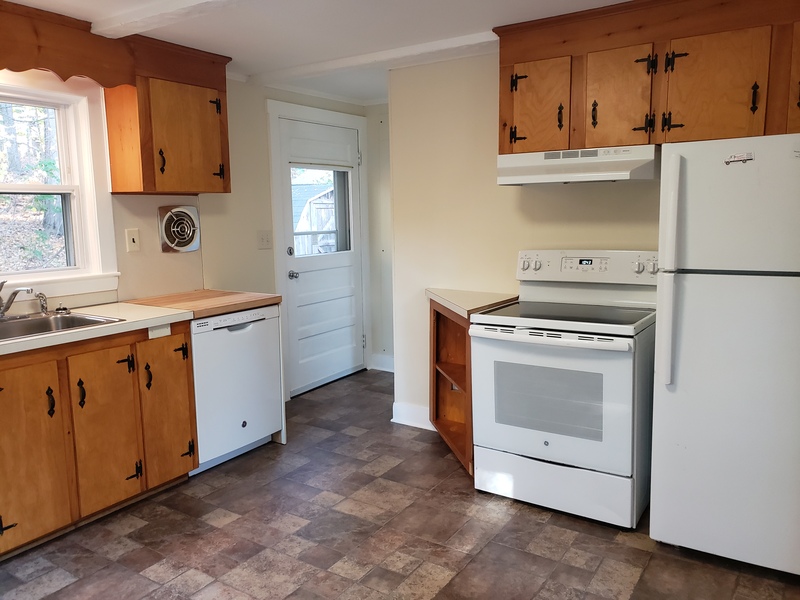 New kitchen flooring, new hot water heater, new light fixtures, new kitchen counter top and sink, new propane heater,fresh paint through out, Very clean. 1 mile from Hallowell and 1/2 mile from State House. private balcony with sliding glass doors . Free laundry( shared with the entire building). 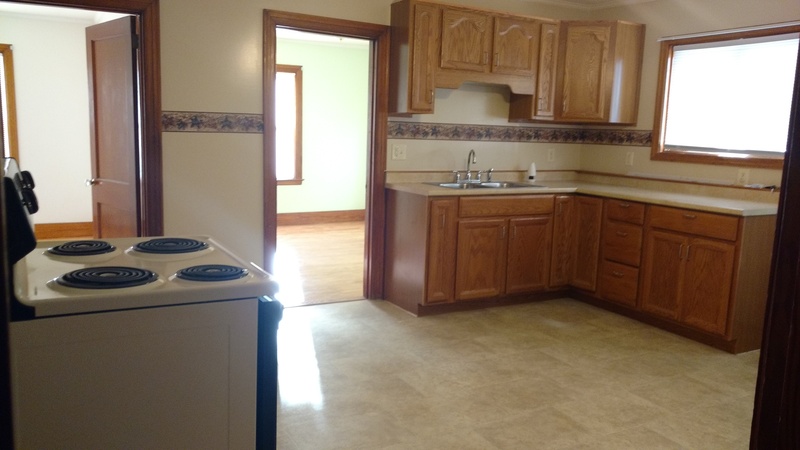 $975/month includes water, sewer, plowing and yard work. 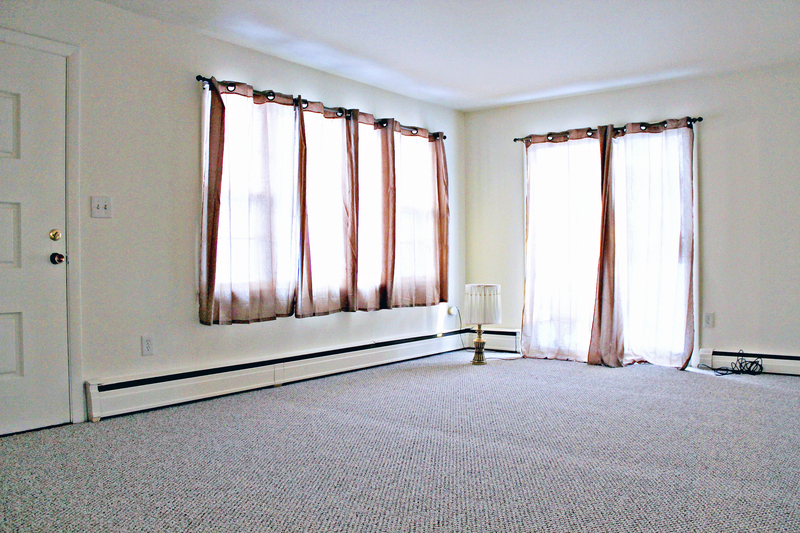 Spacious 2 bedroom 1 bath second floor apartment. 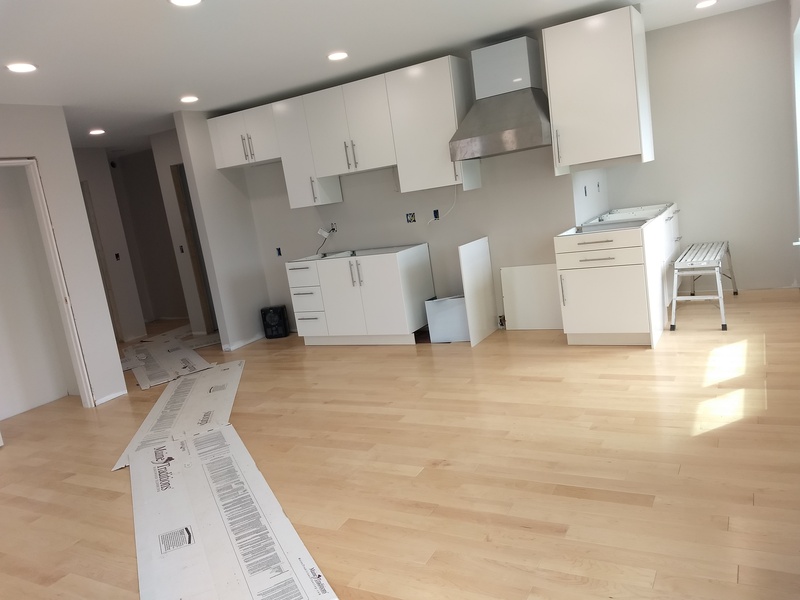 New kitchen, fresh paint through out and all hard wood flooring redone. 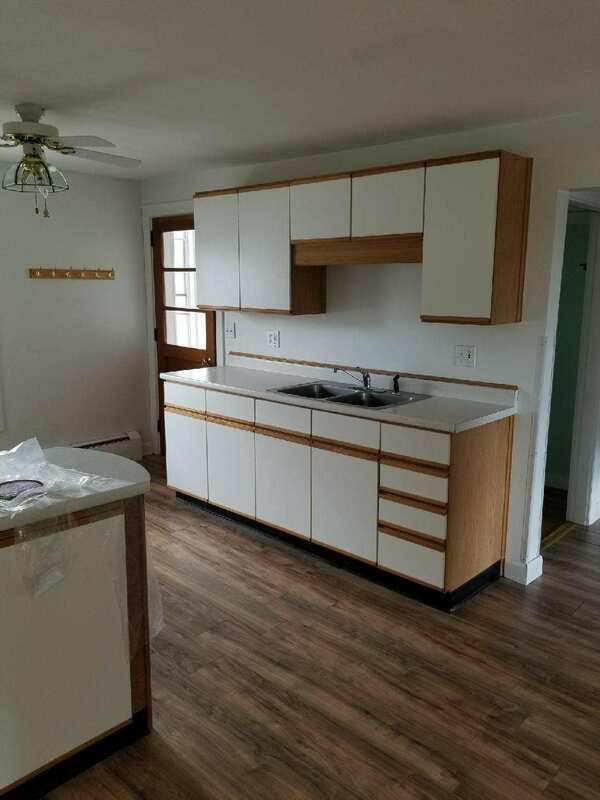 2 bedroom 1 bath condo. 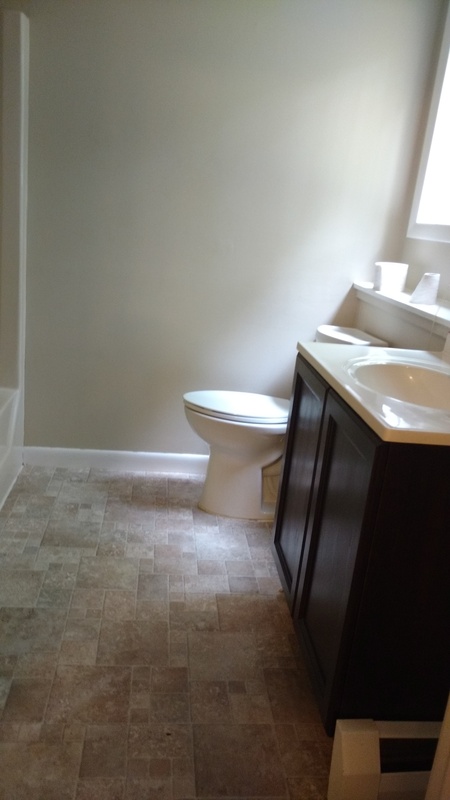 rent is $825/month include water,sewer, plowing yard maintenance and trash removal. Very clean well maintained. 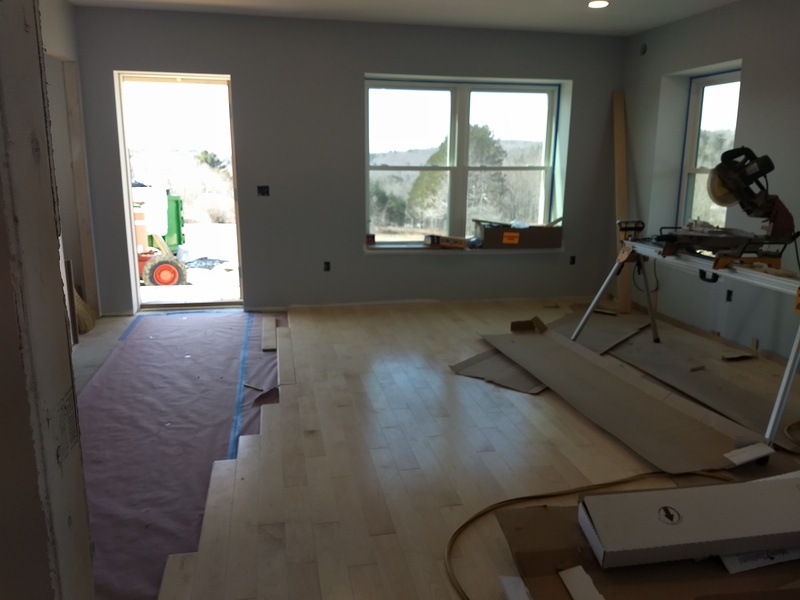 new flooring in the kitchen and living room. laundry in the unit. Asking for no pets and no smoking. 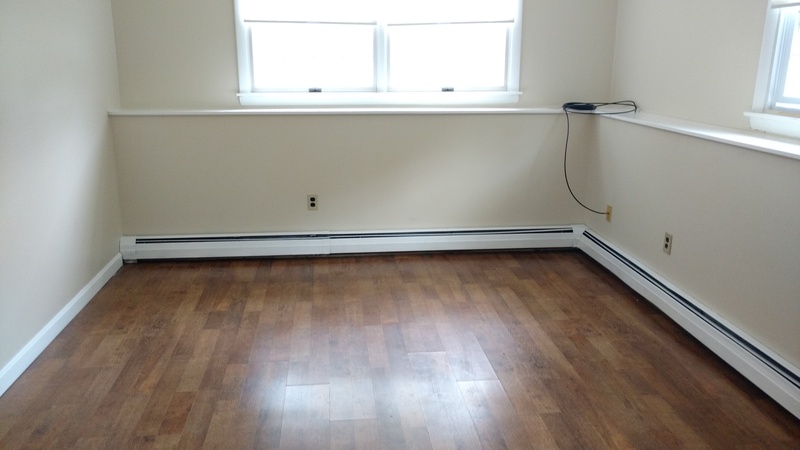 A first months rent, double security deposit and good credit is needed.